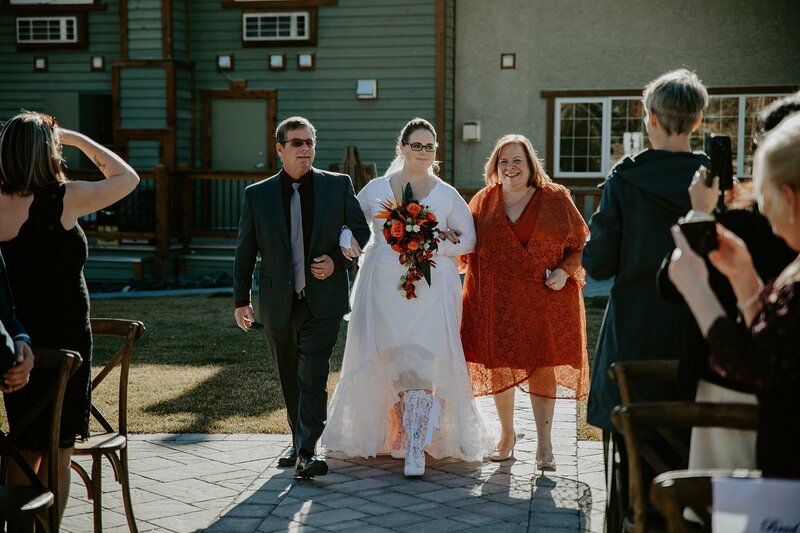 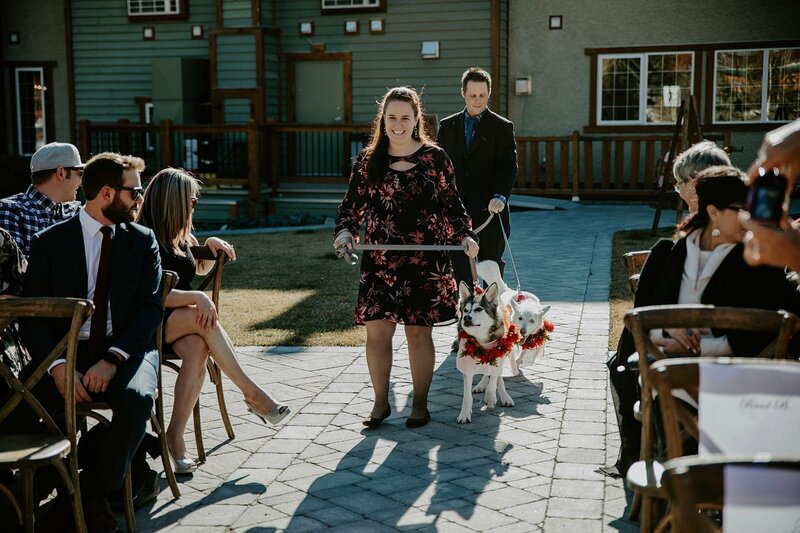 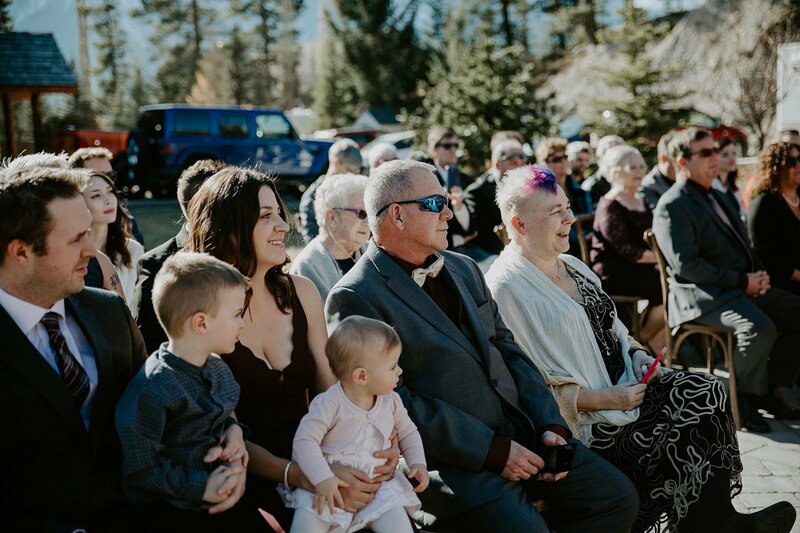 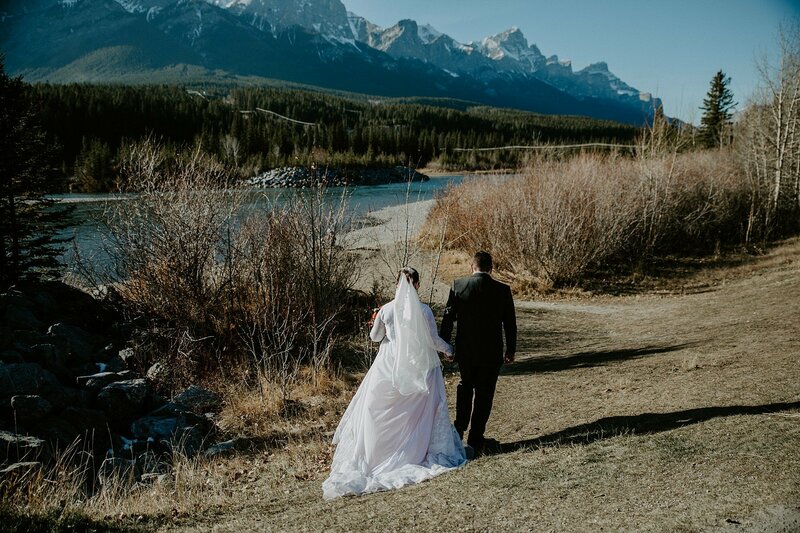 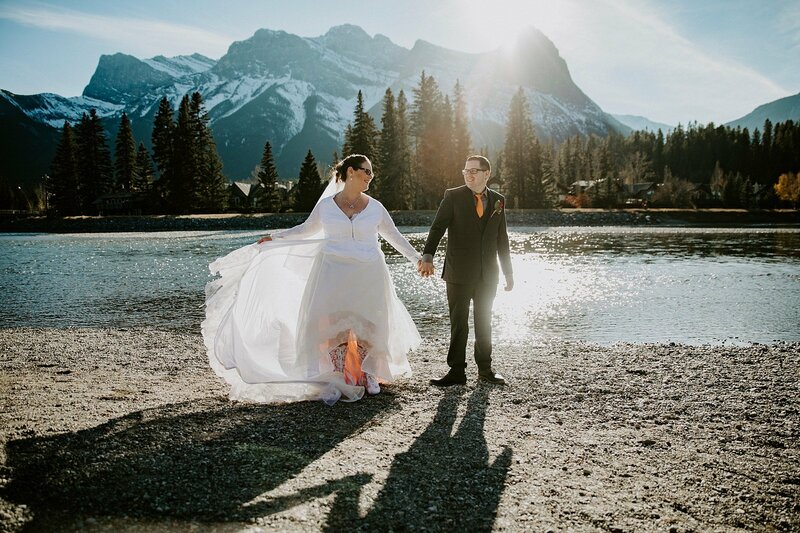 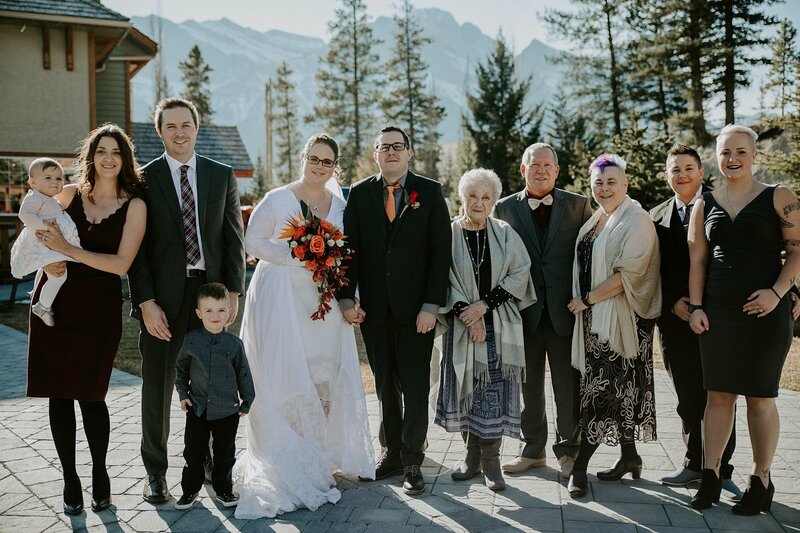 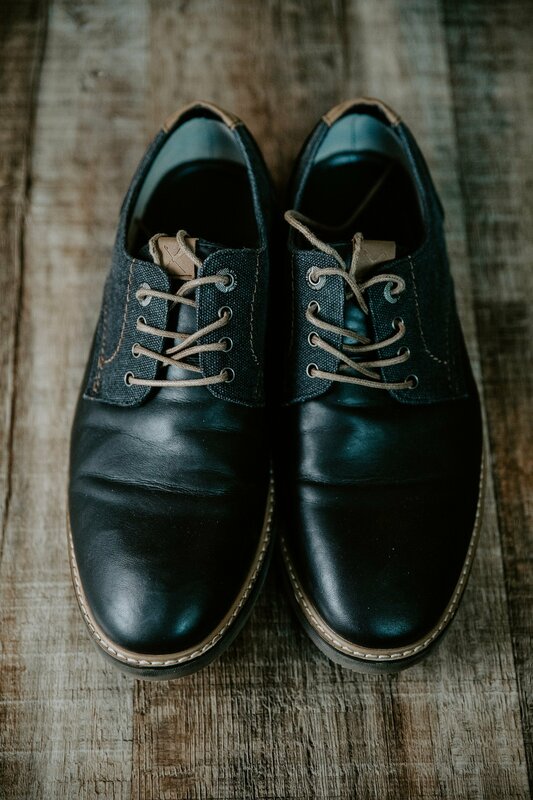 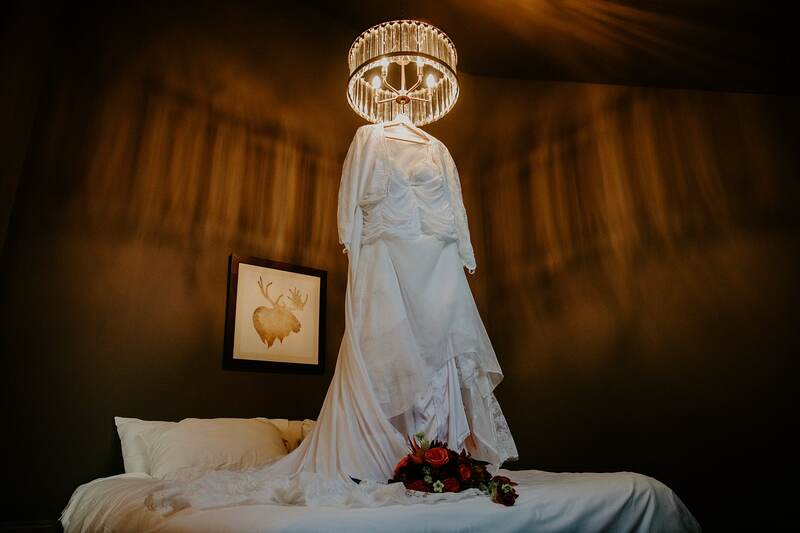 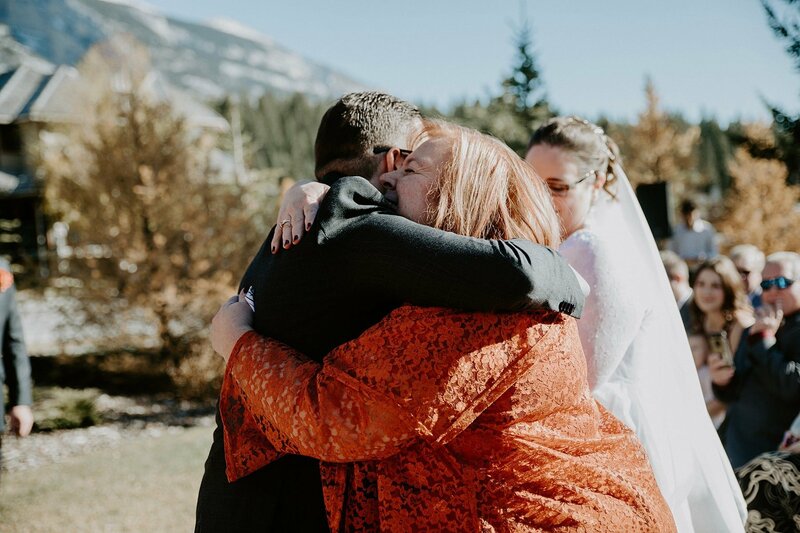 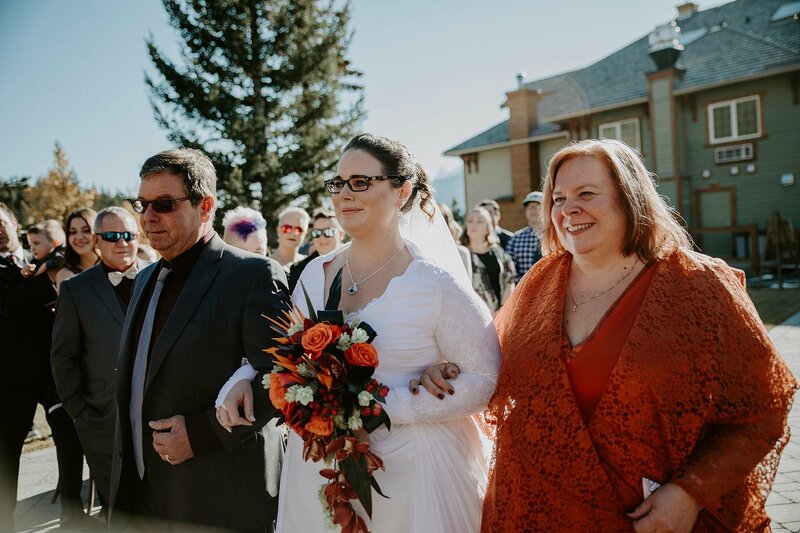 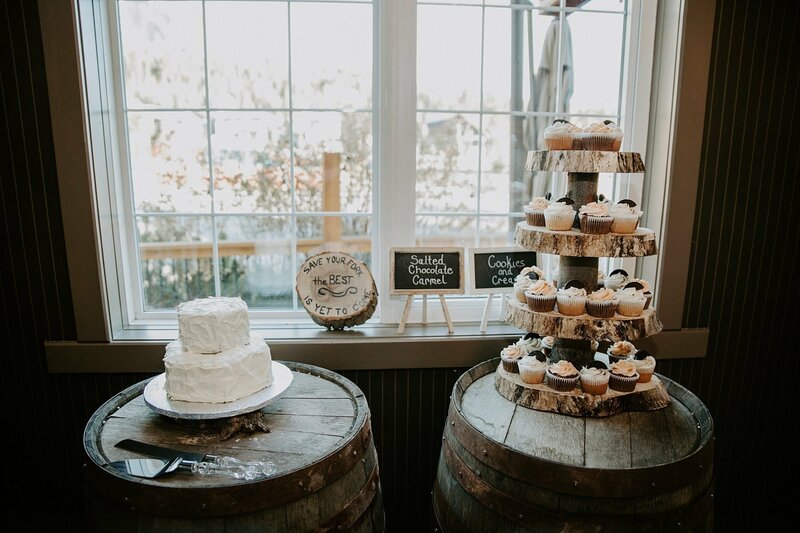 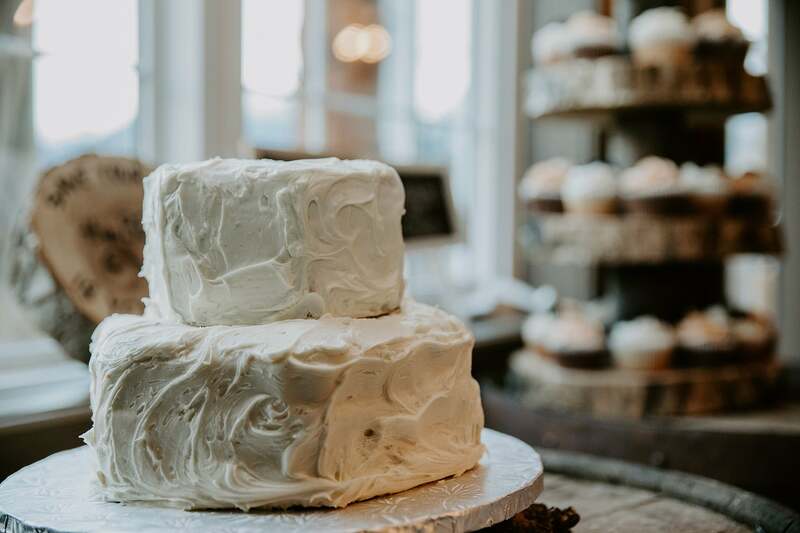 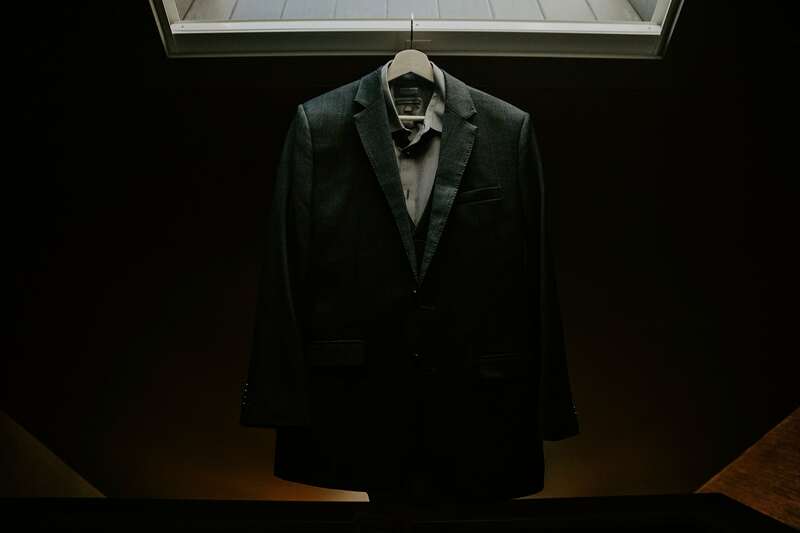 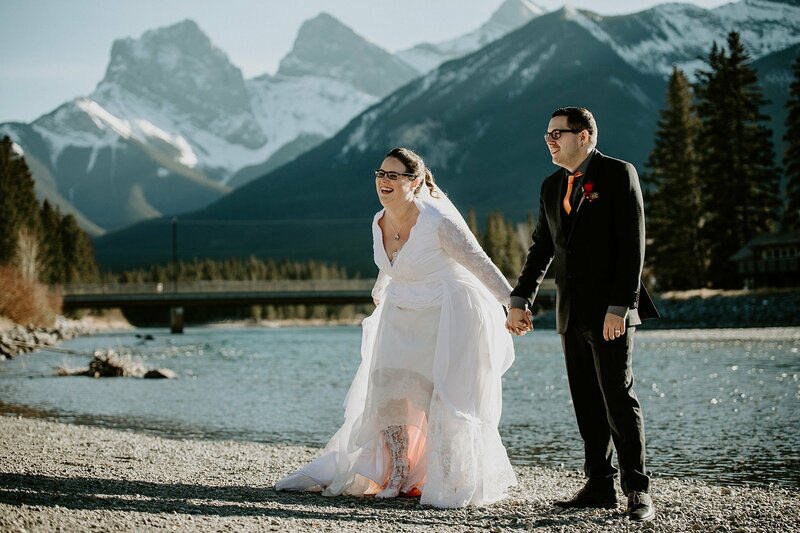 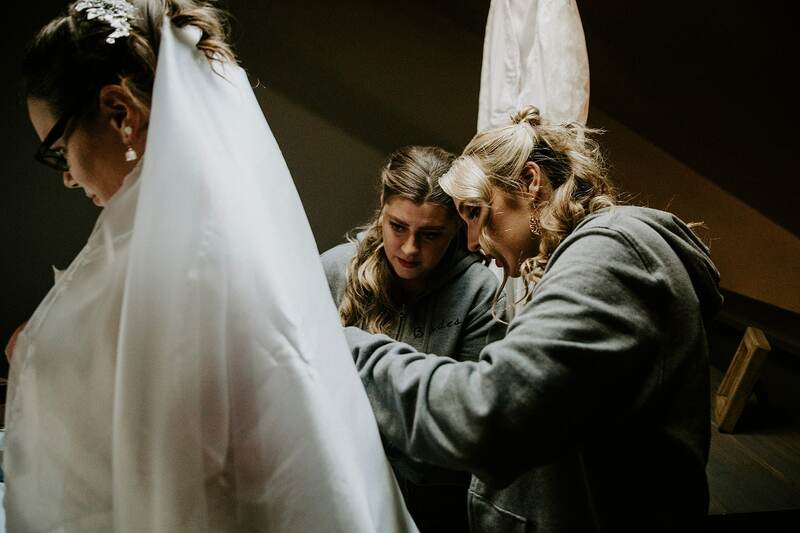 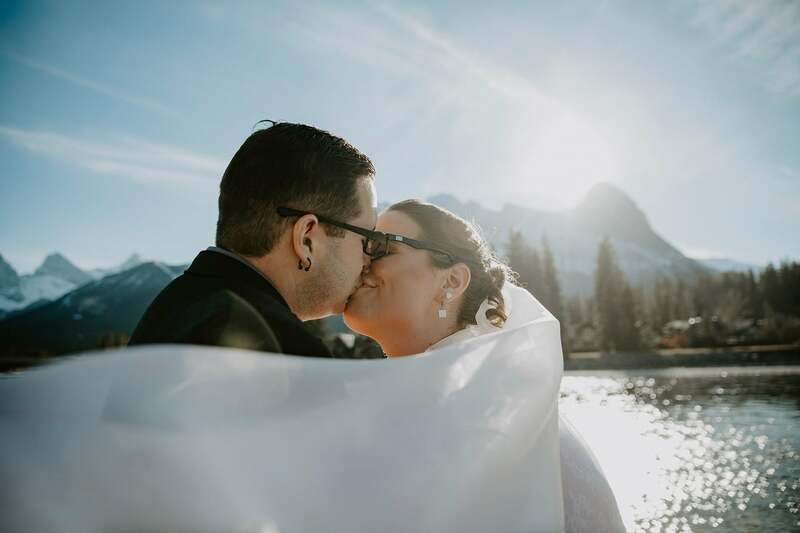 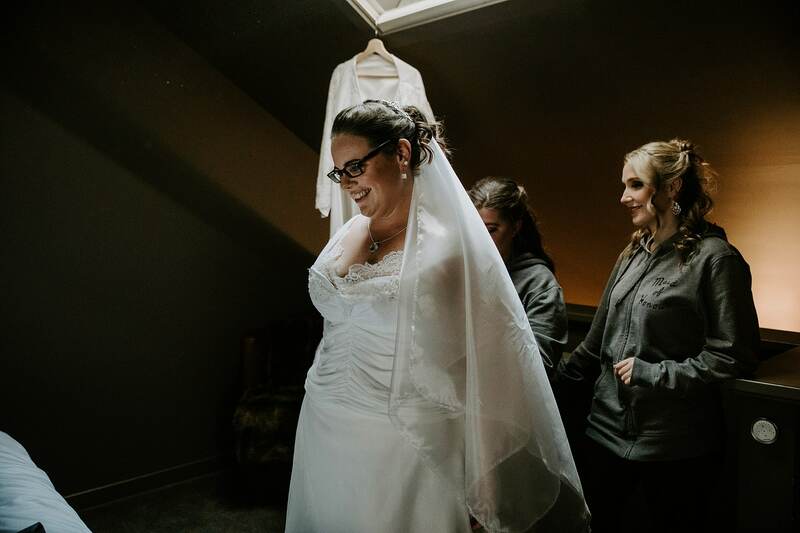 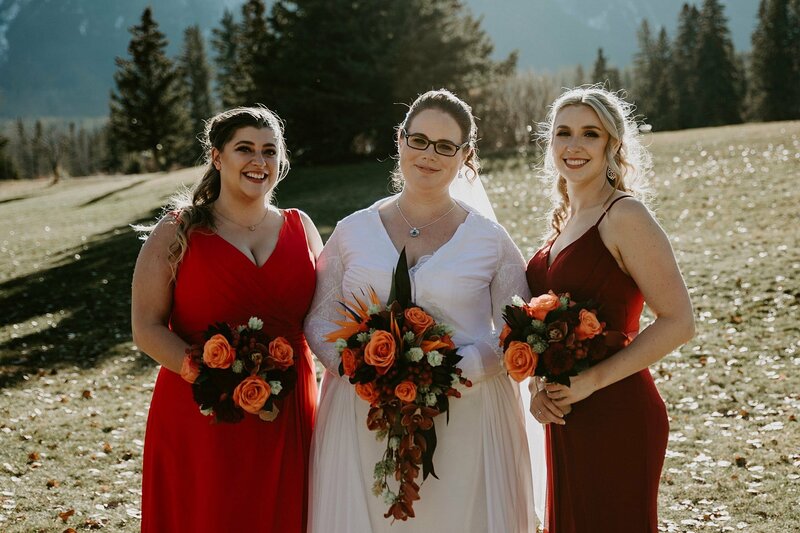 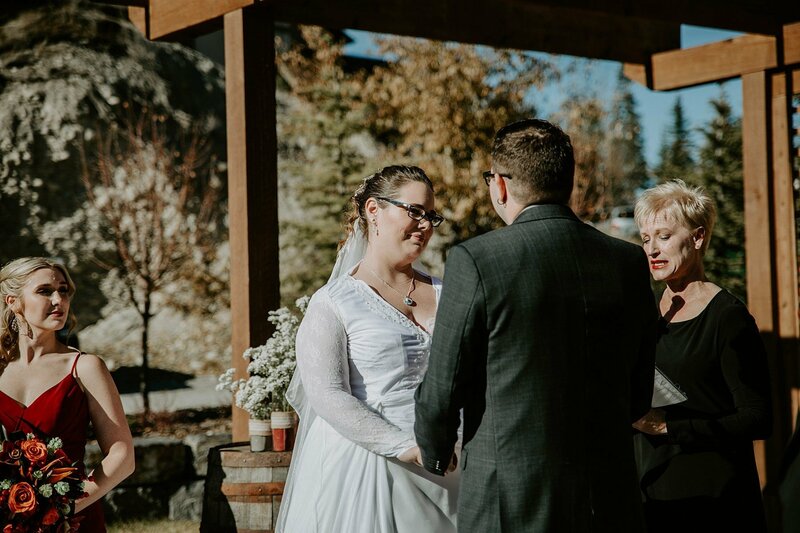 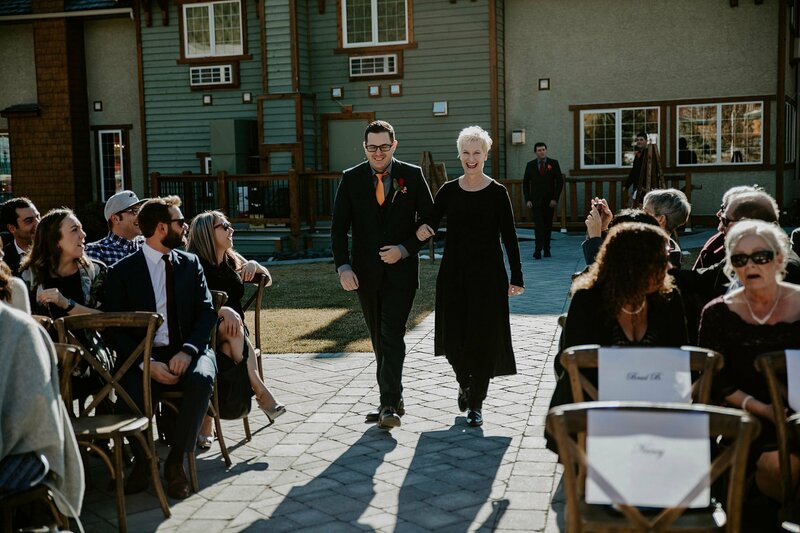 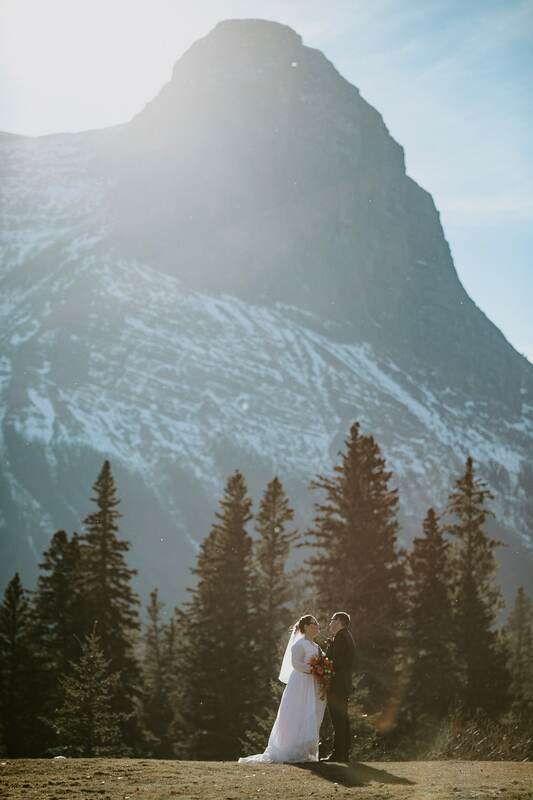 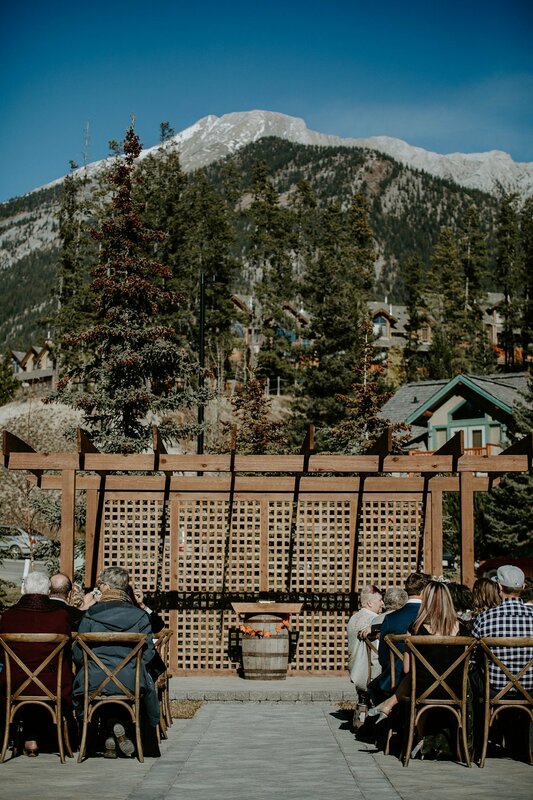 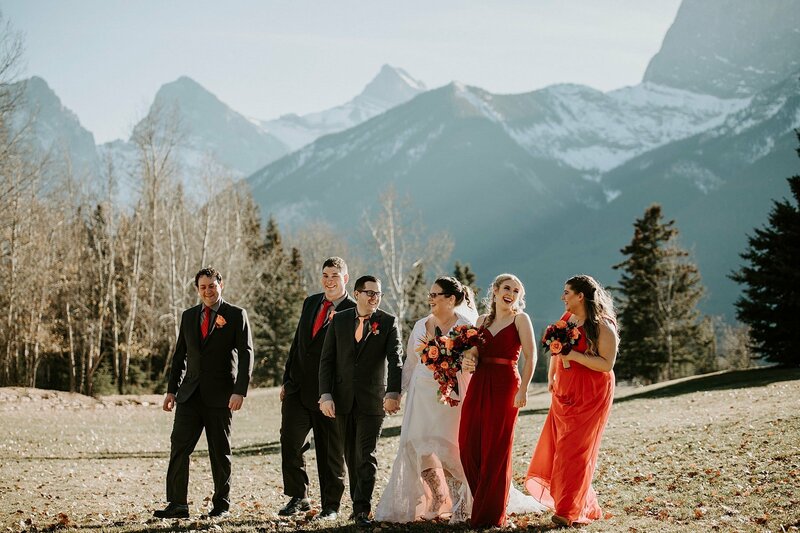 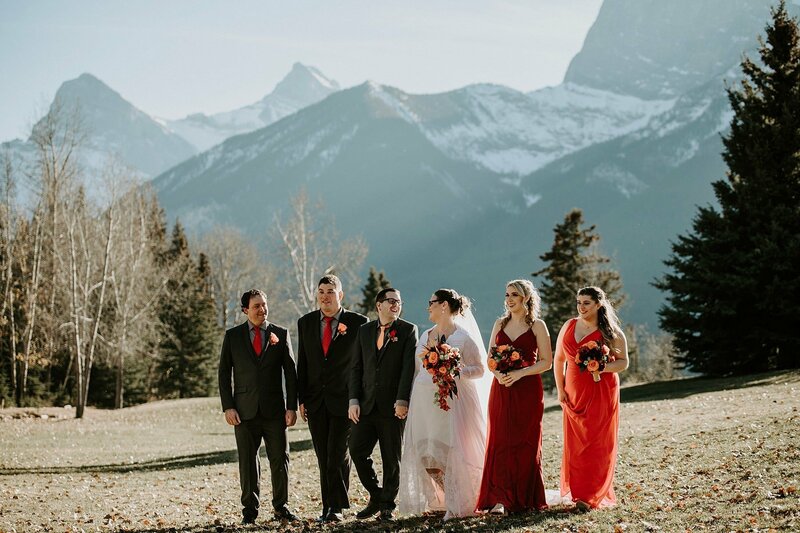 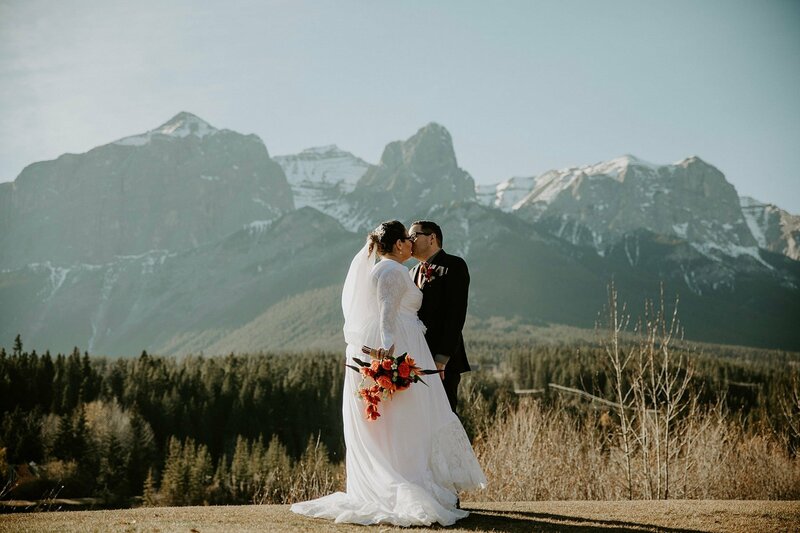 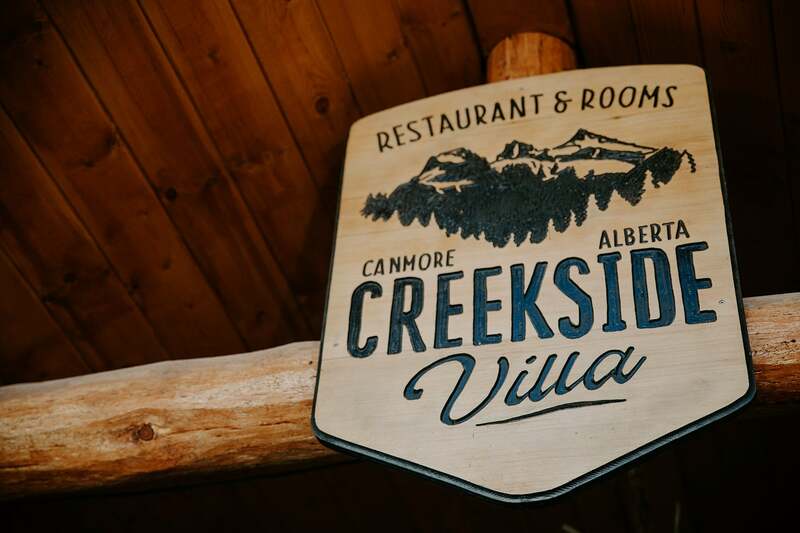 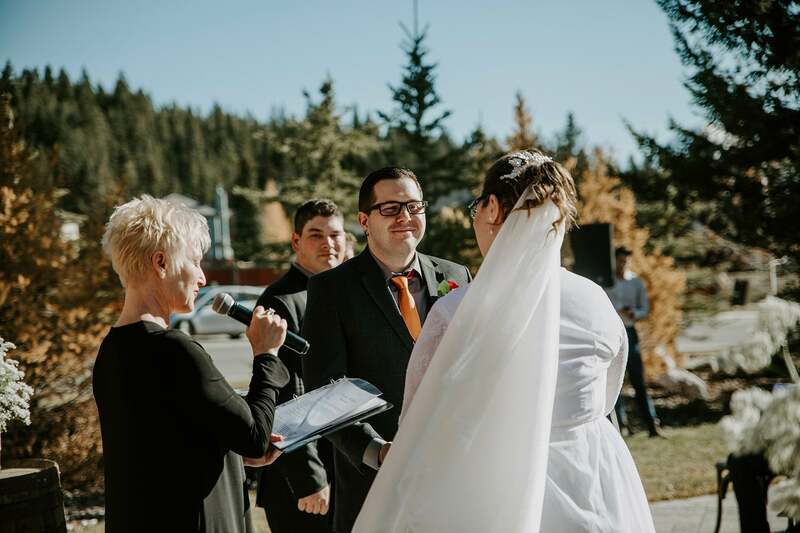 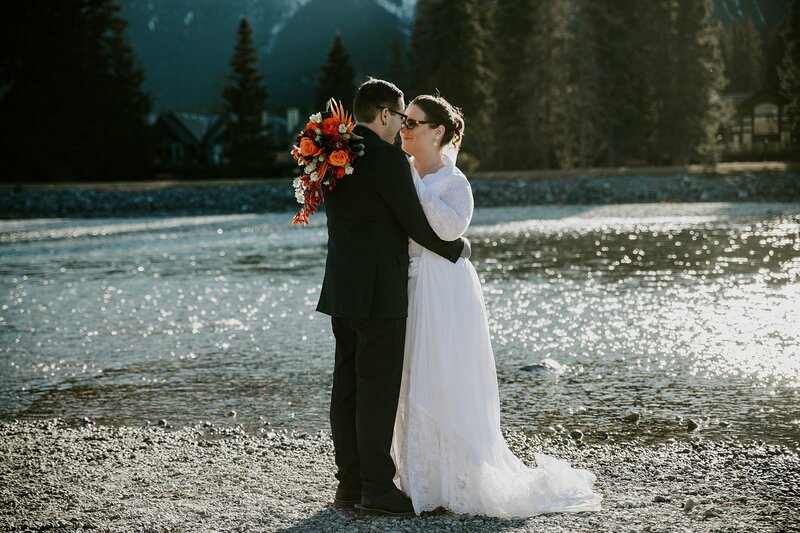 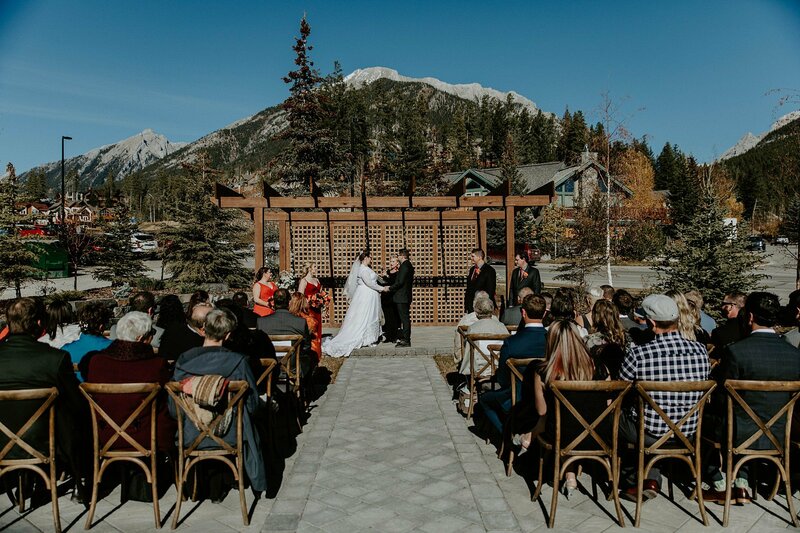 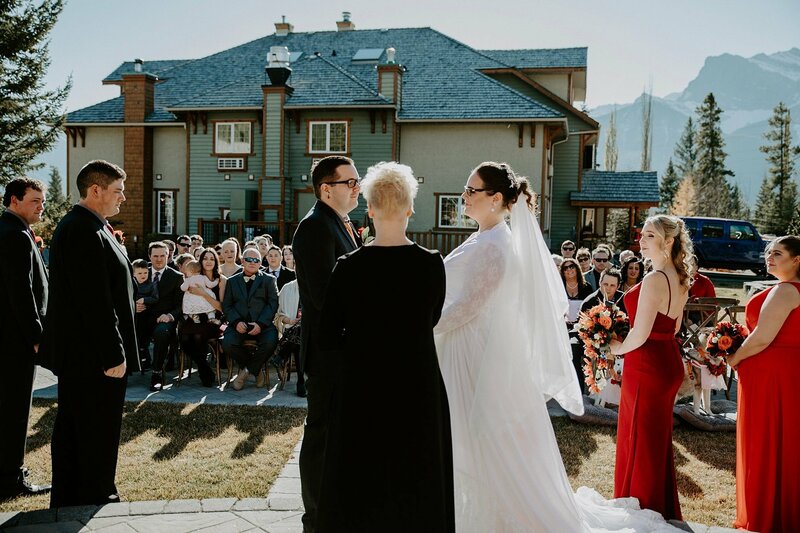 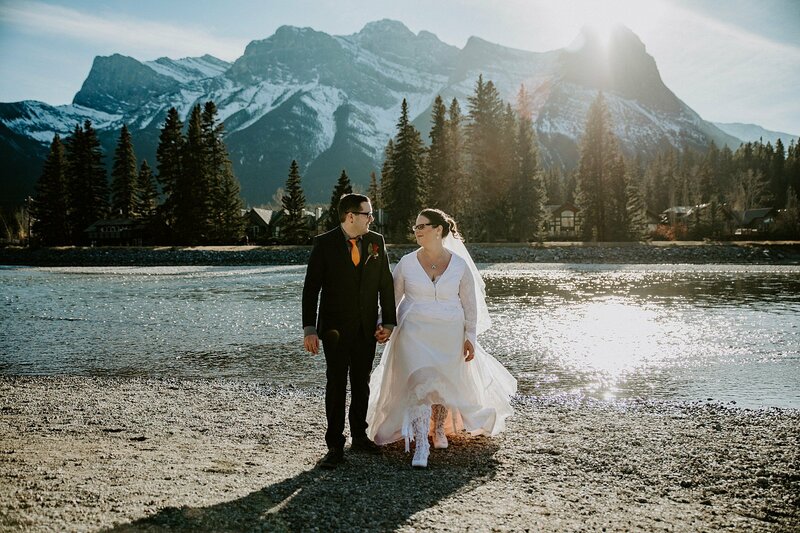 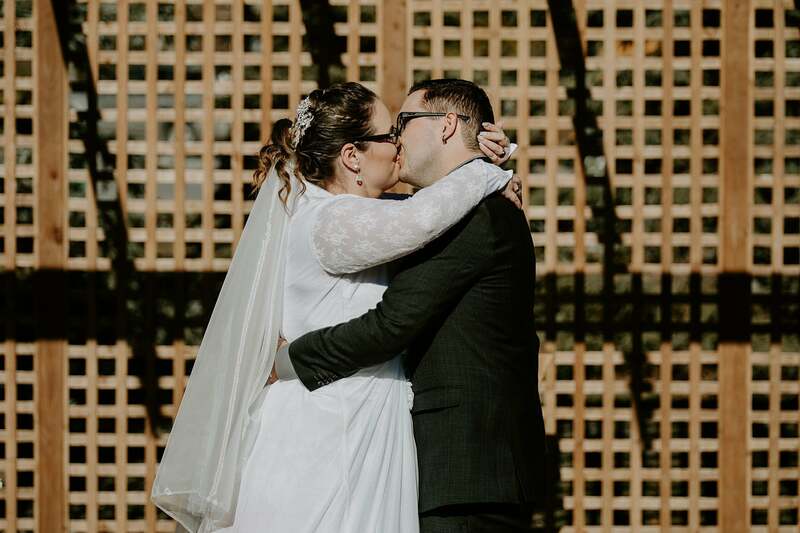 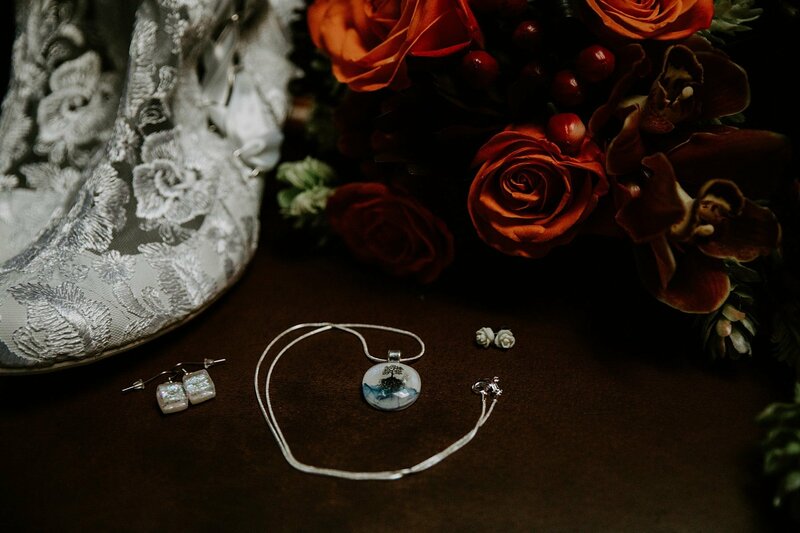 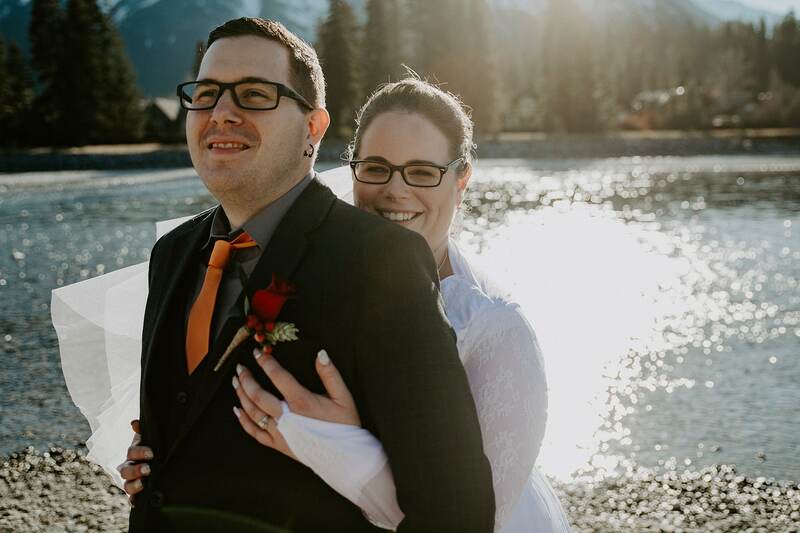 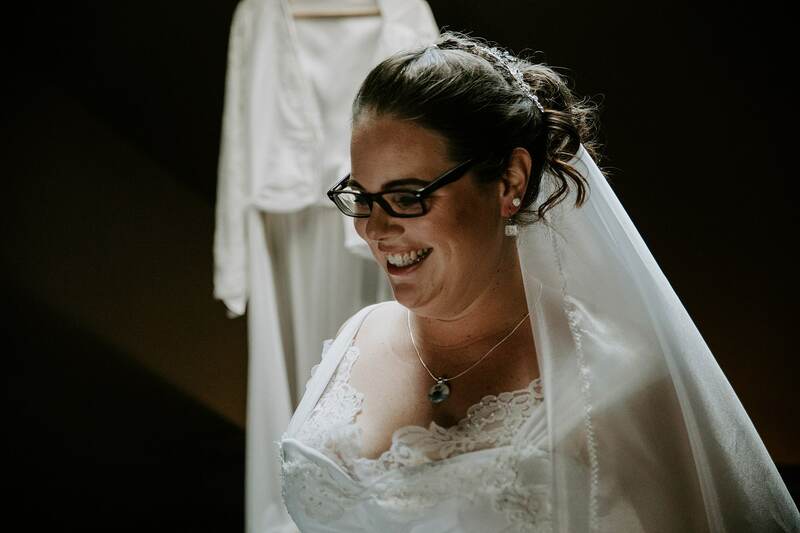 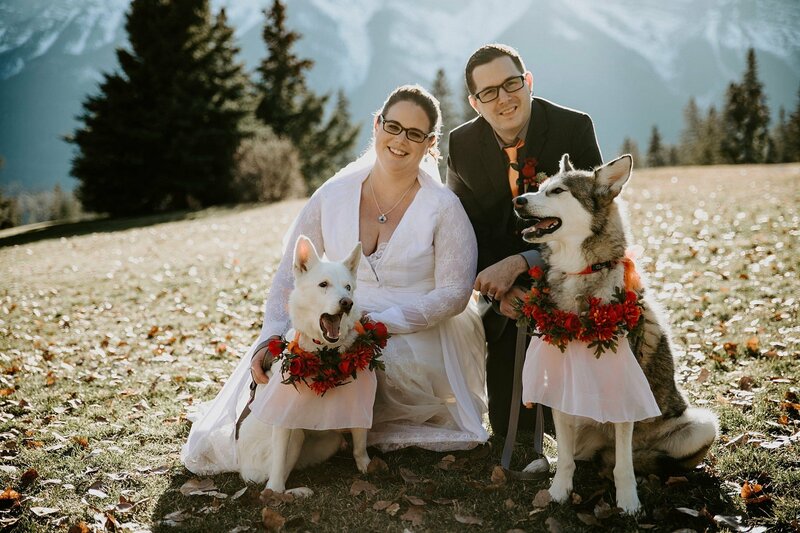 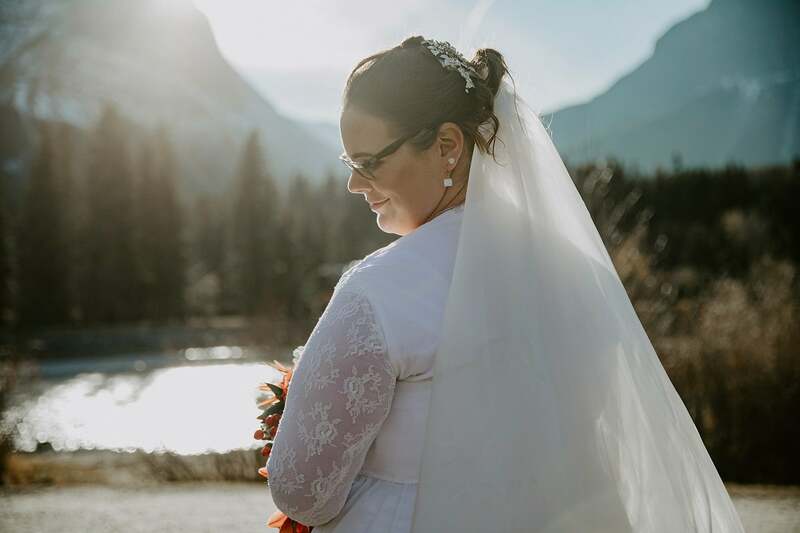 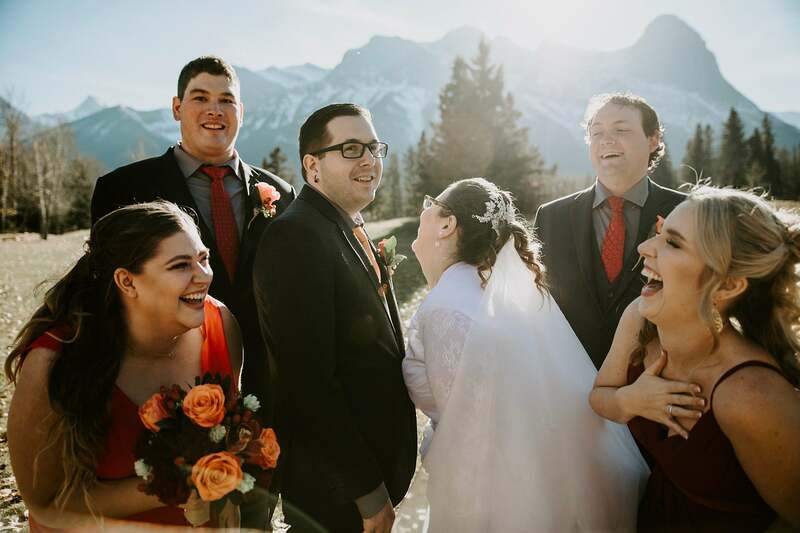 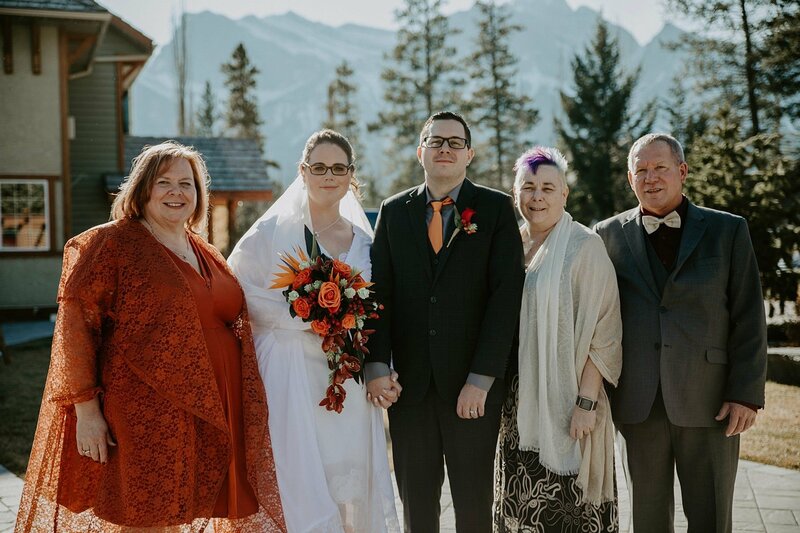 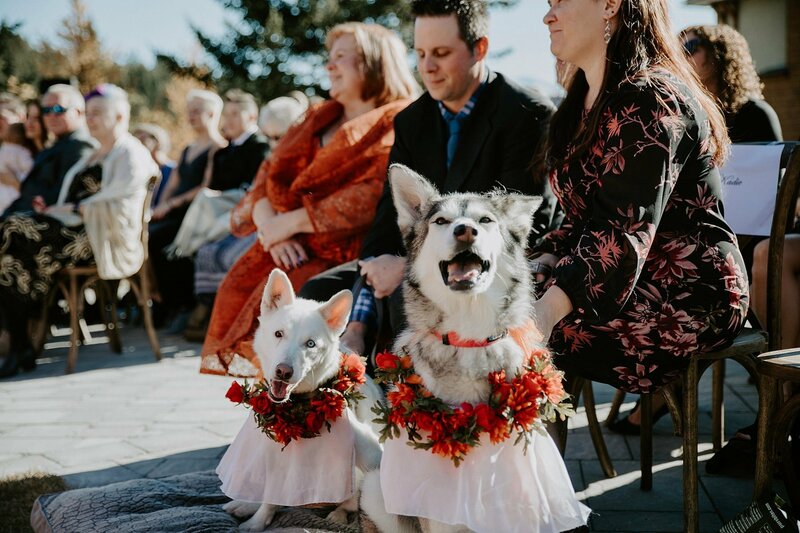 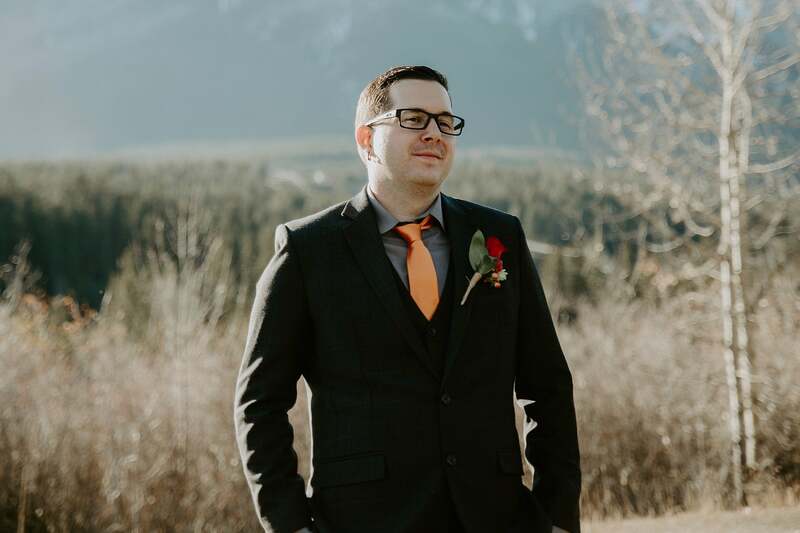 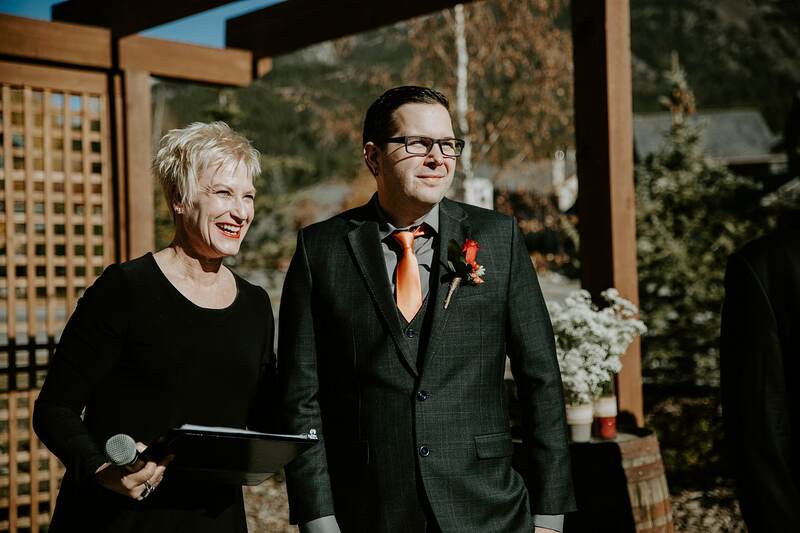 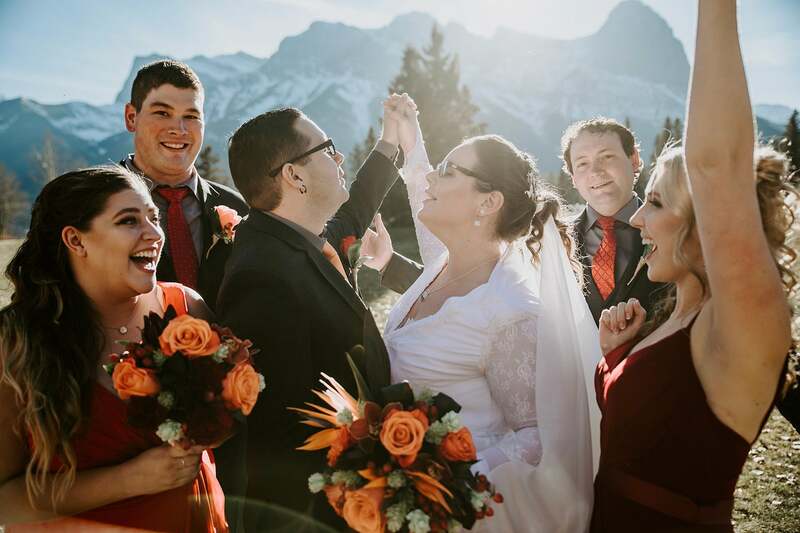 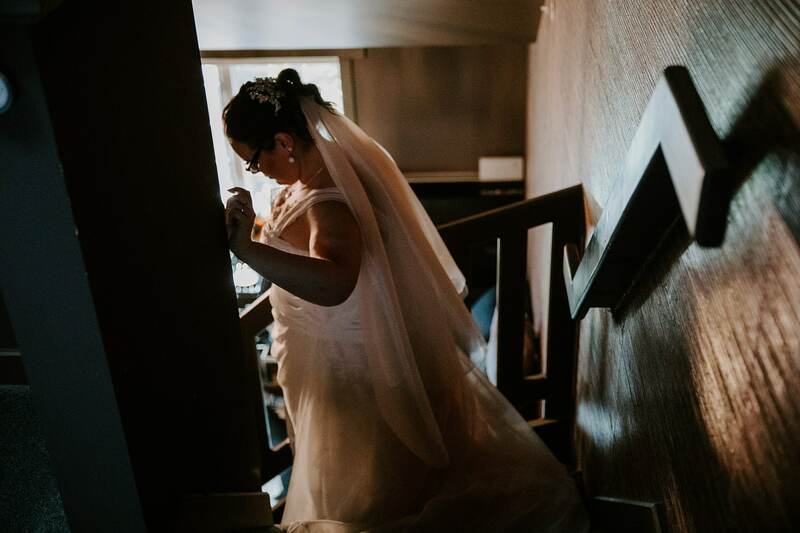 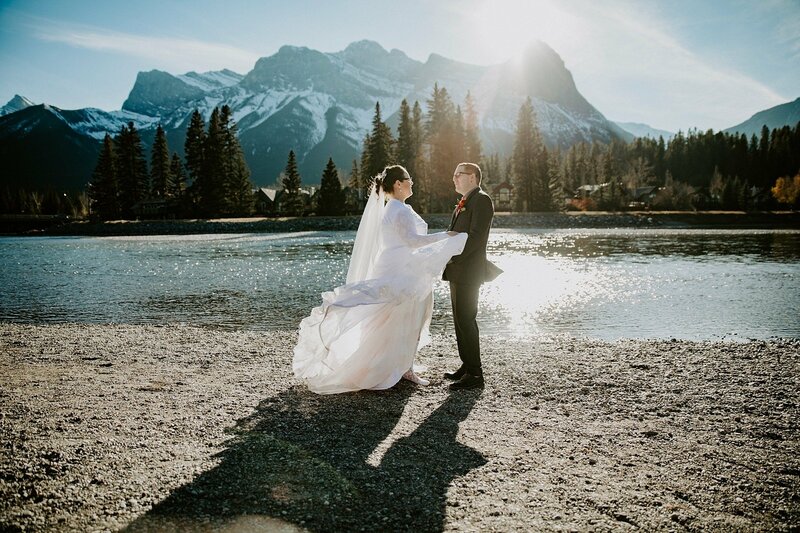 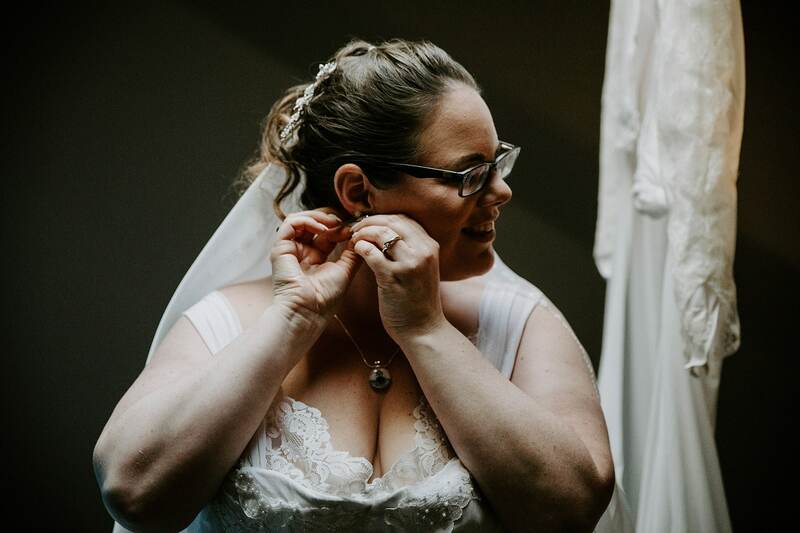 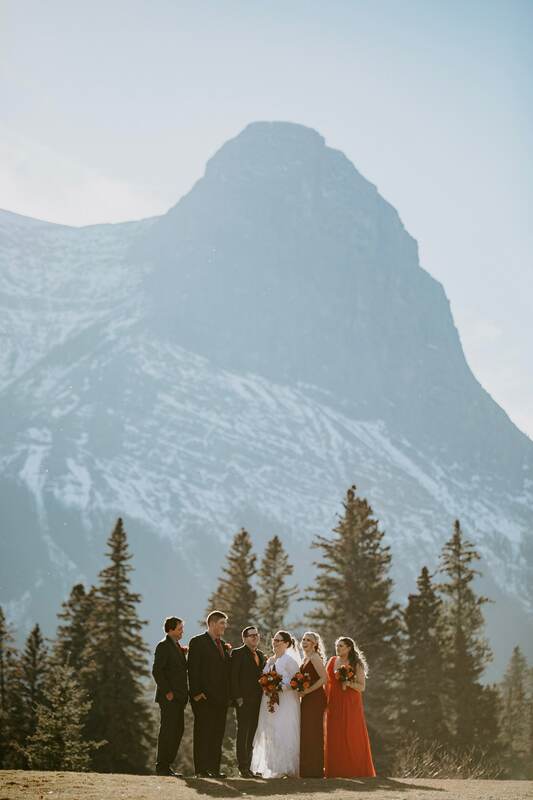 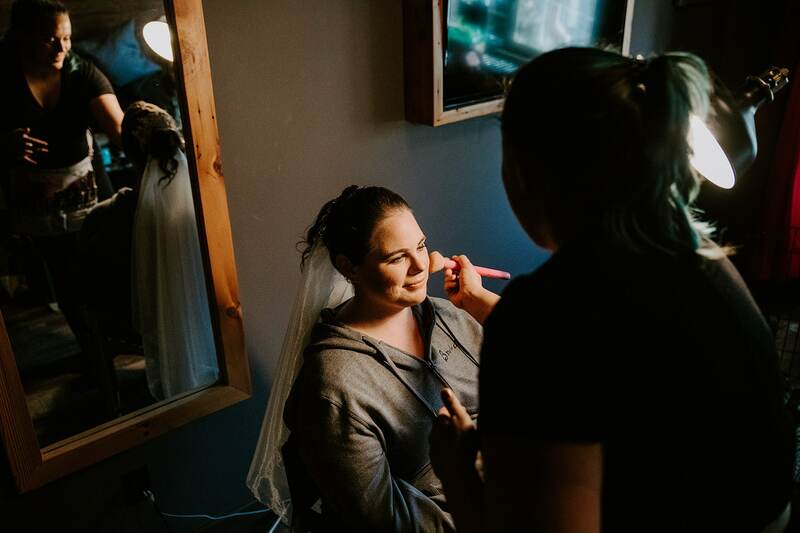 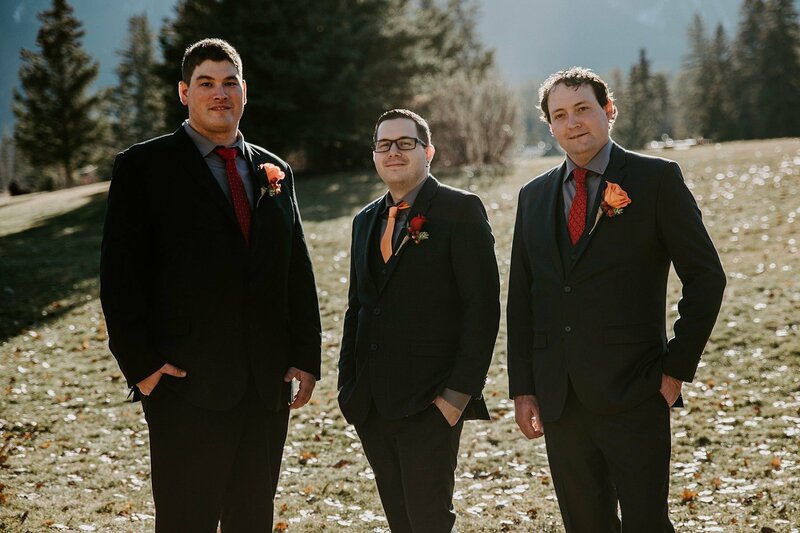 We loved this Creekside Villa Wedding in Canmore. 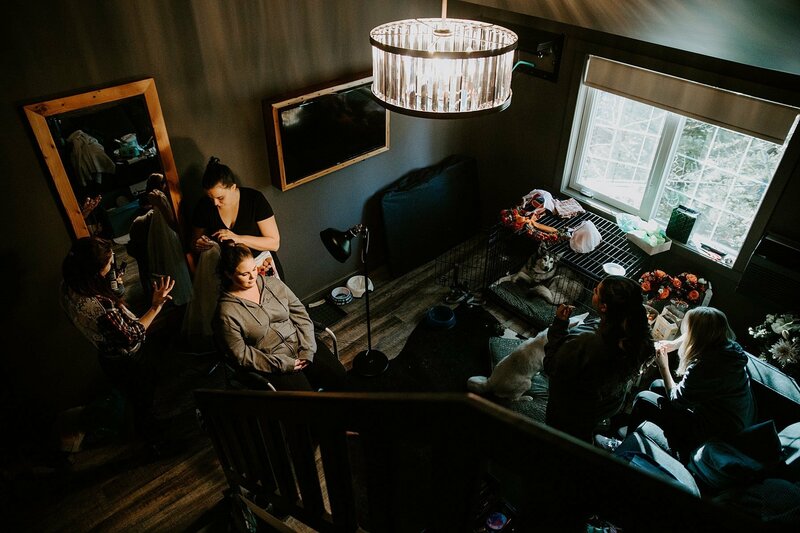 Liz & Dylan put so much of their personality into it, and they were surrounded by their loved ones – exactly how a wedding should be. 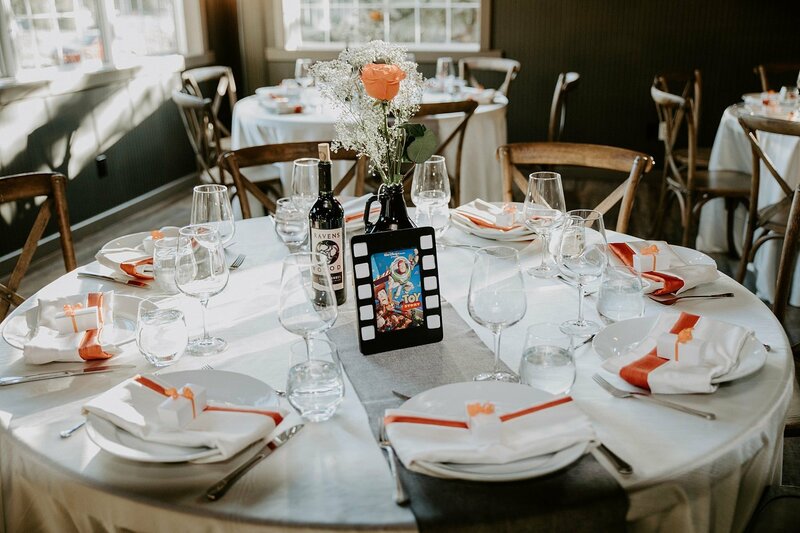 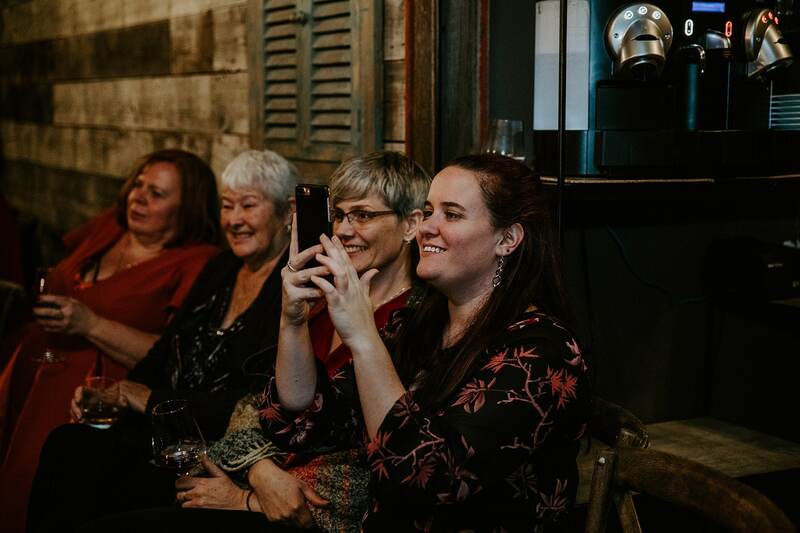 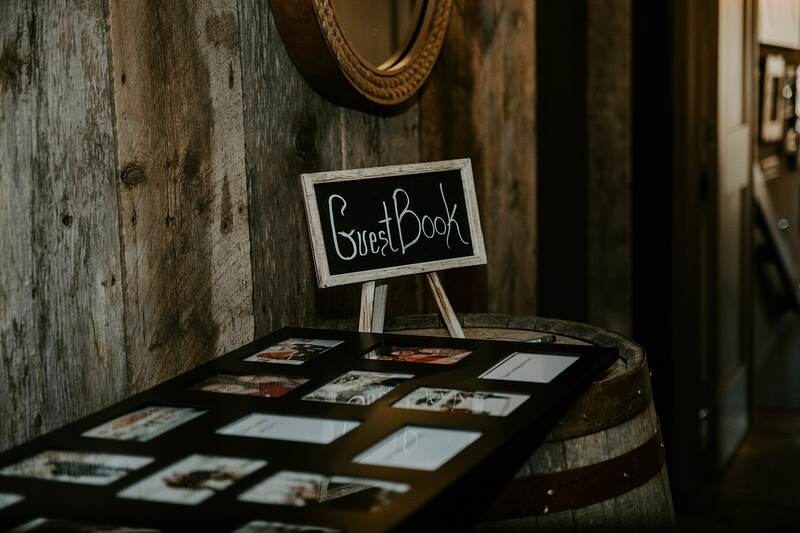 Rustic, movie theme, the venue led us further to the rustic theme which we enjoy because it is laid back and fairly simple. 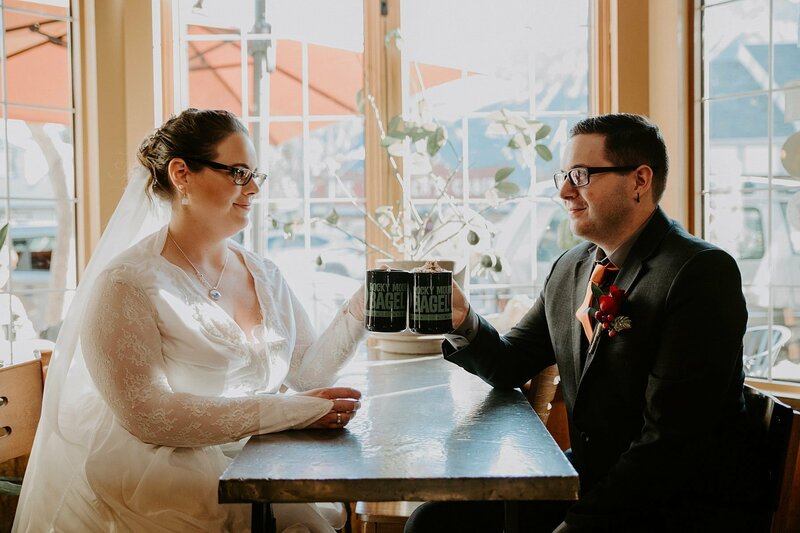 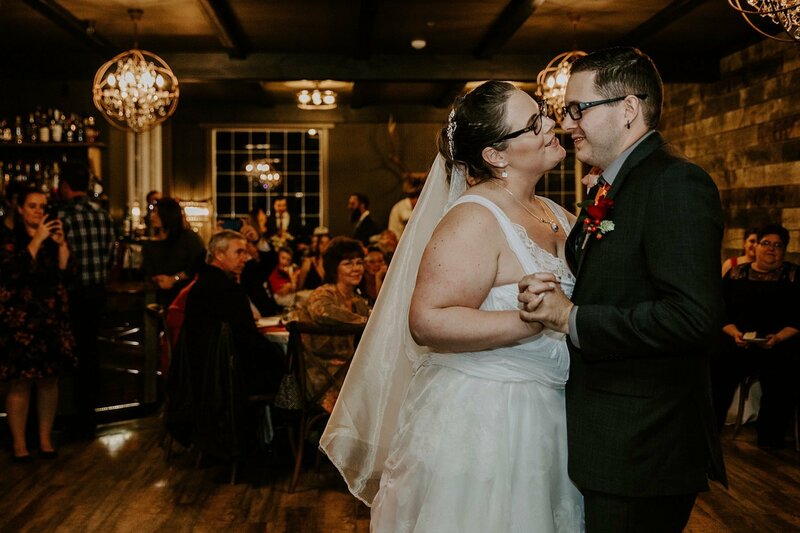 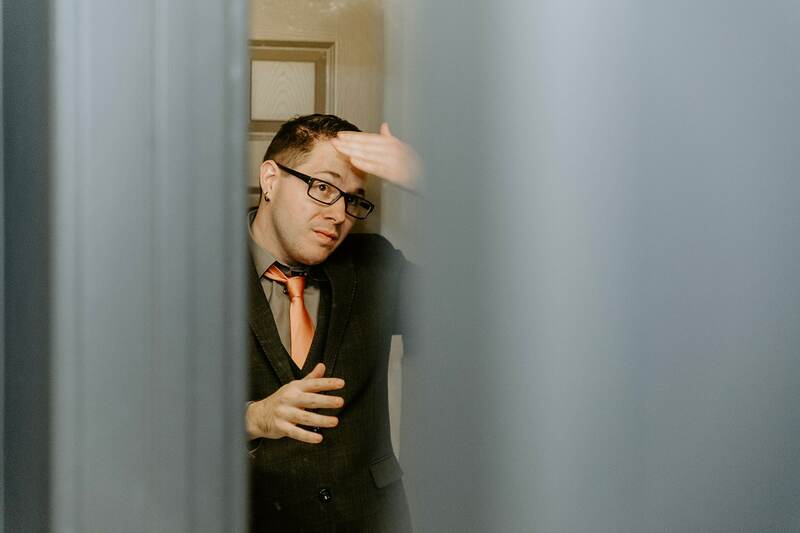 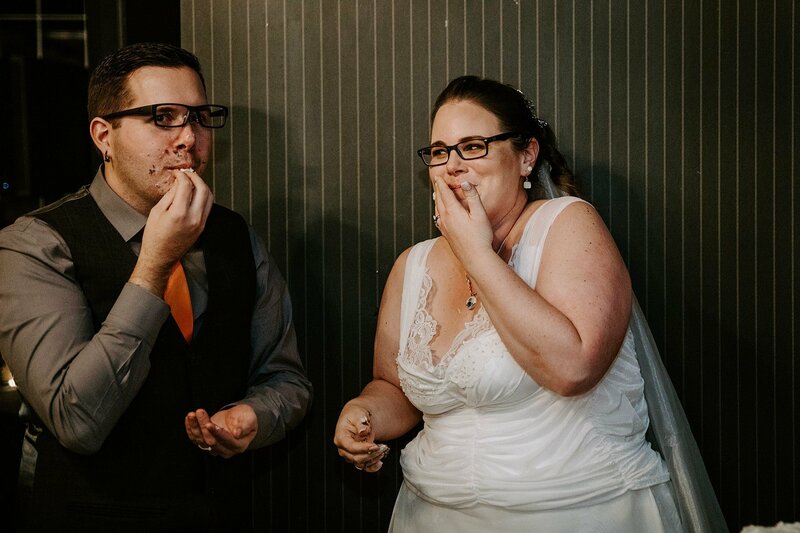 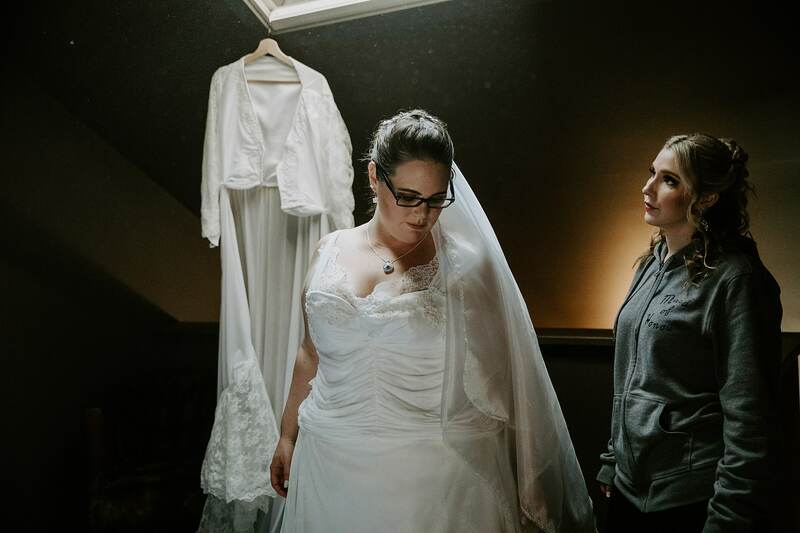 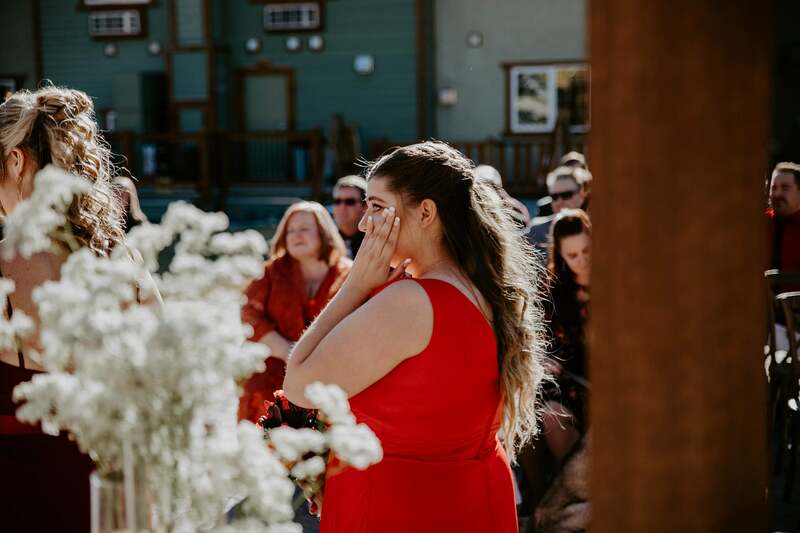 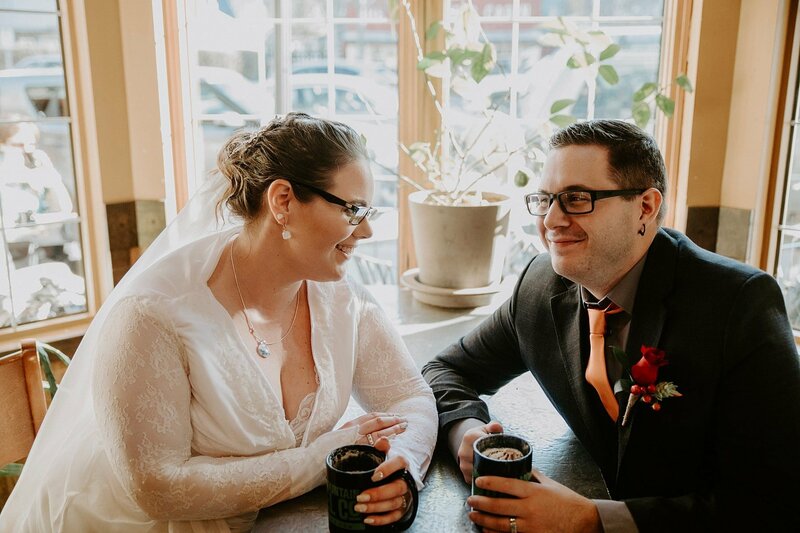 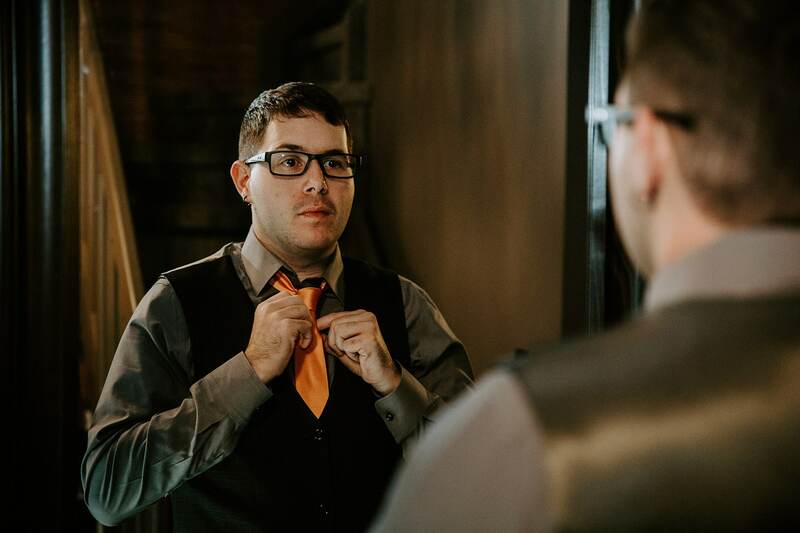 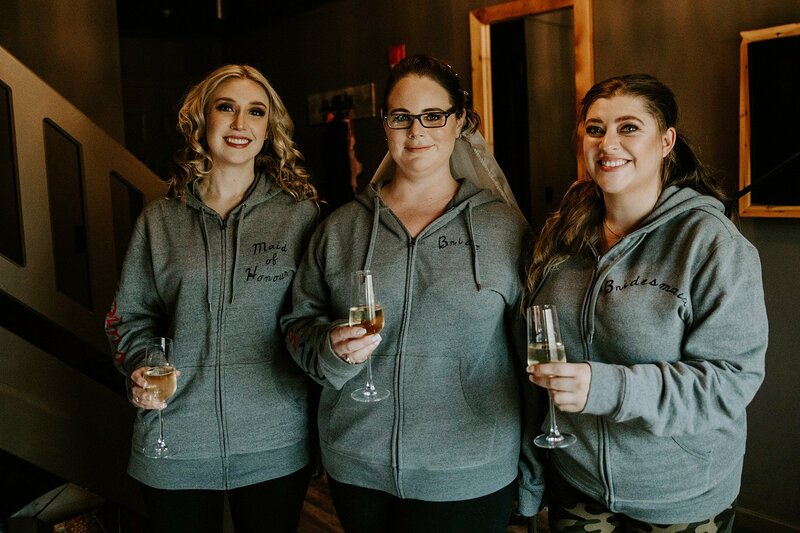 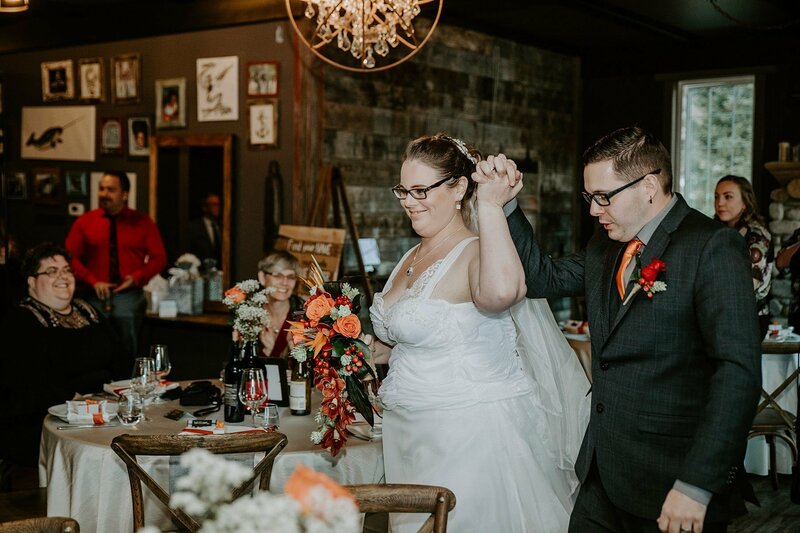 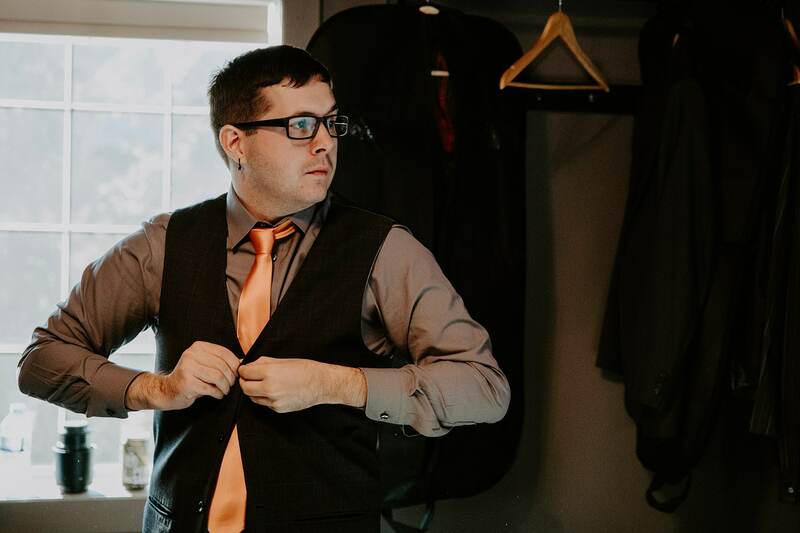 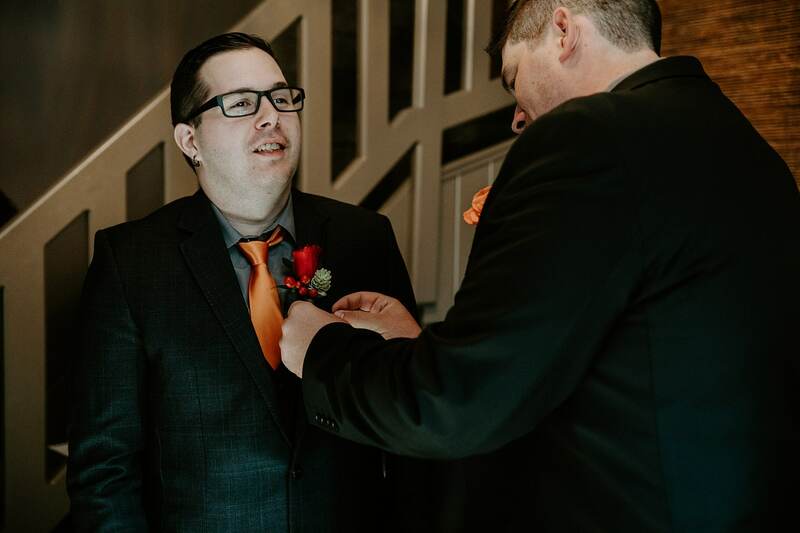 The movie theme came in because Dylan speaks in quotes half the time, so it naturally started to make its way into our wedding. 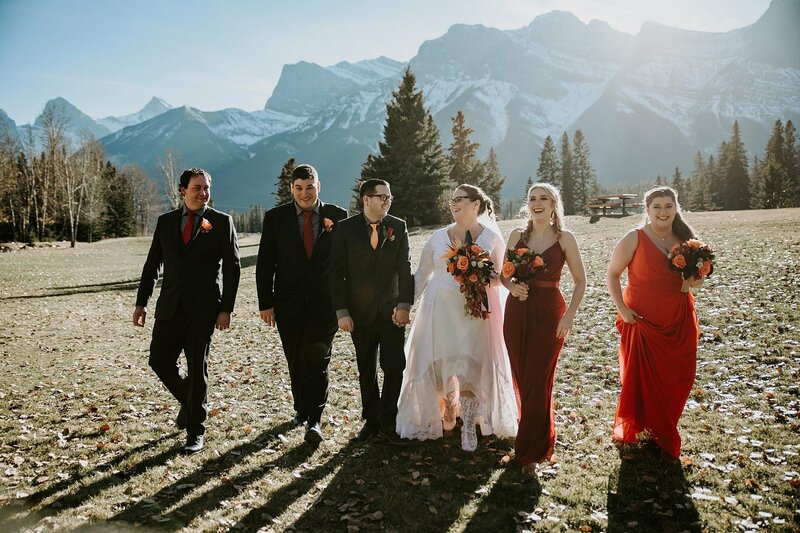 Our colours were orange, red and grey. 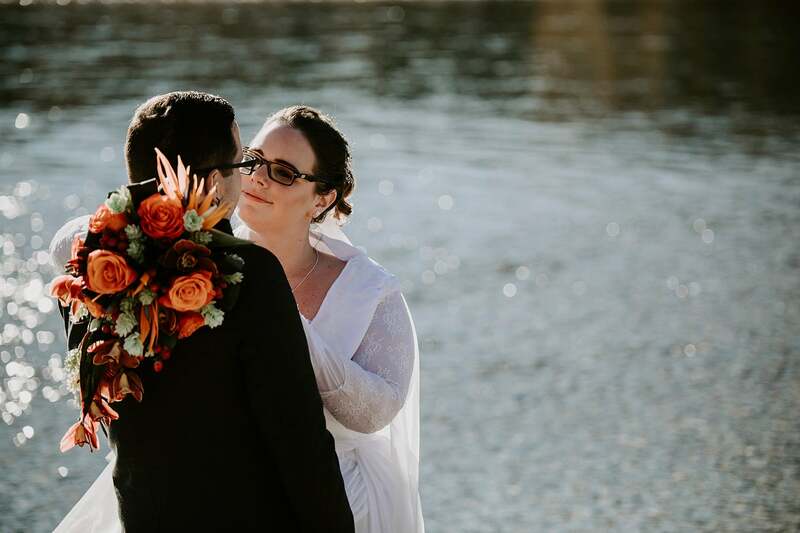 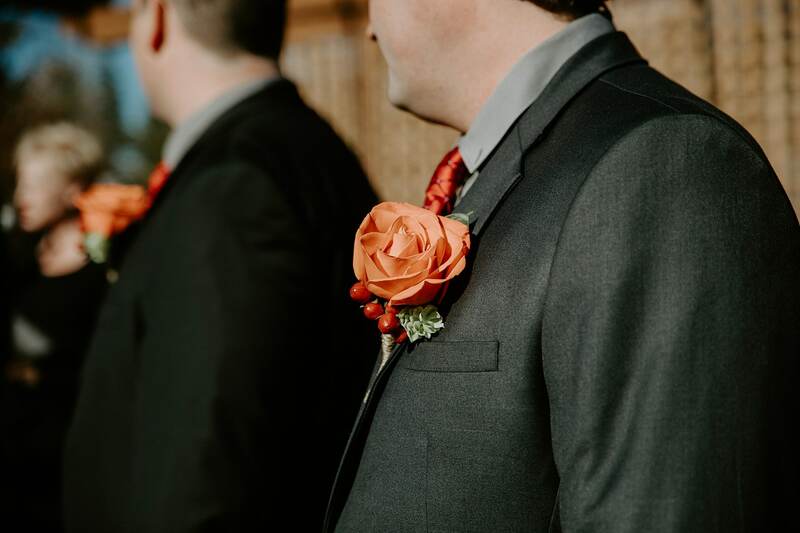 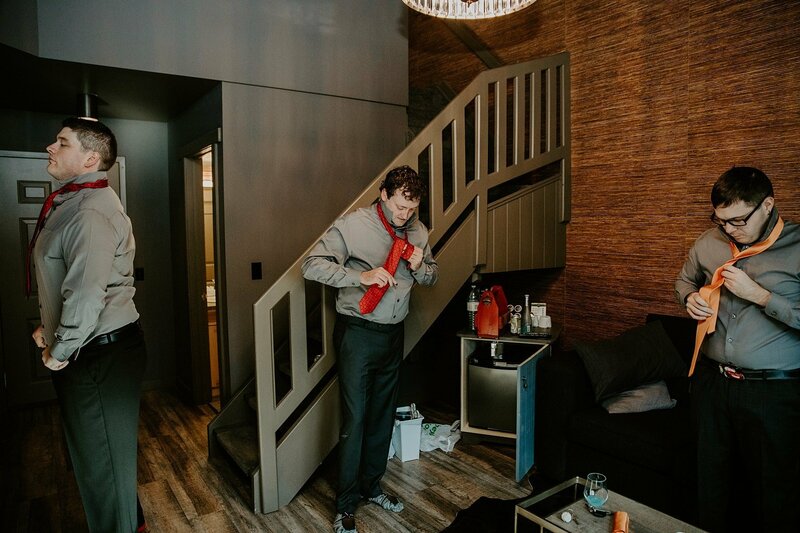 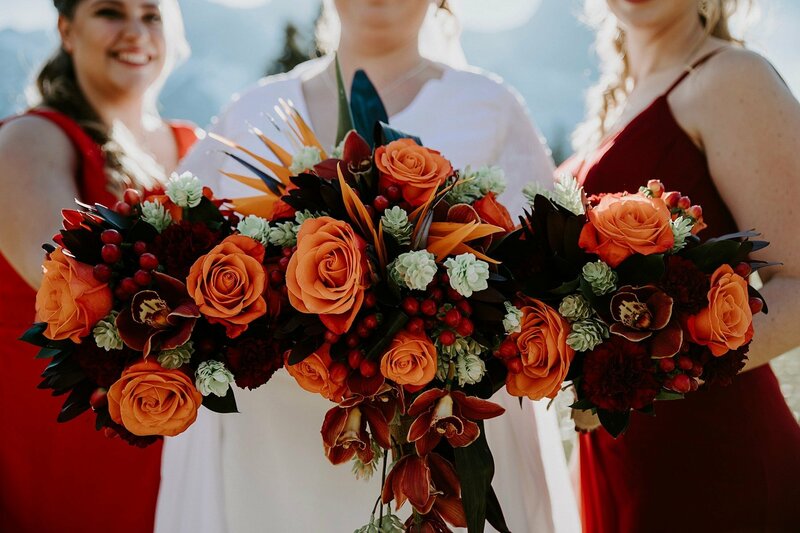 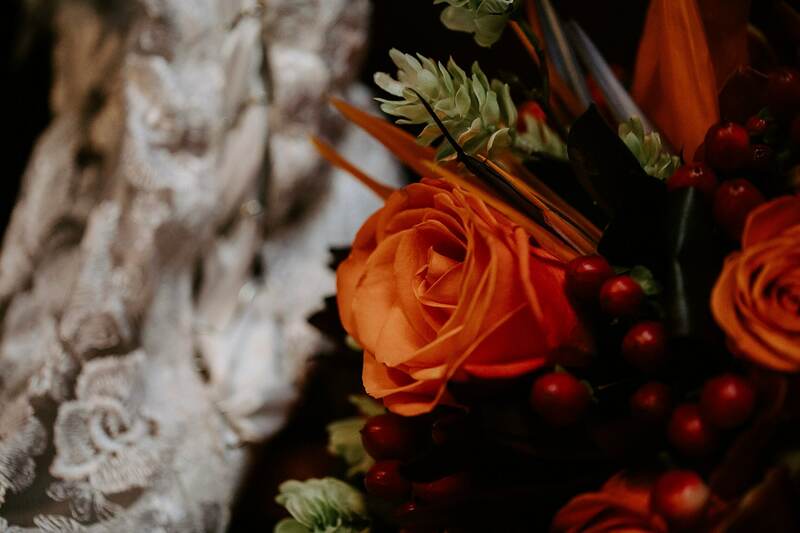 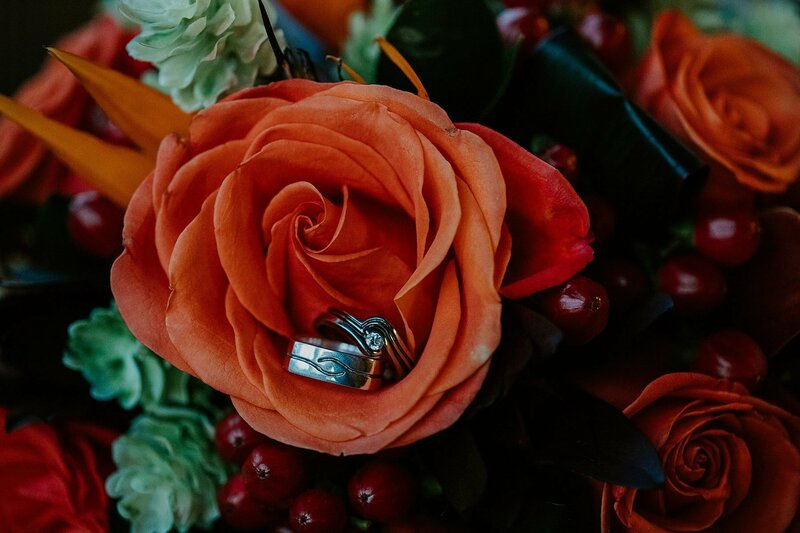 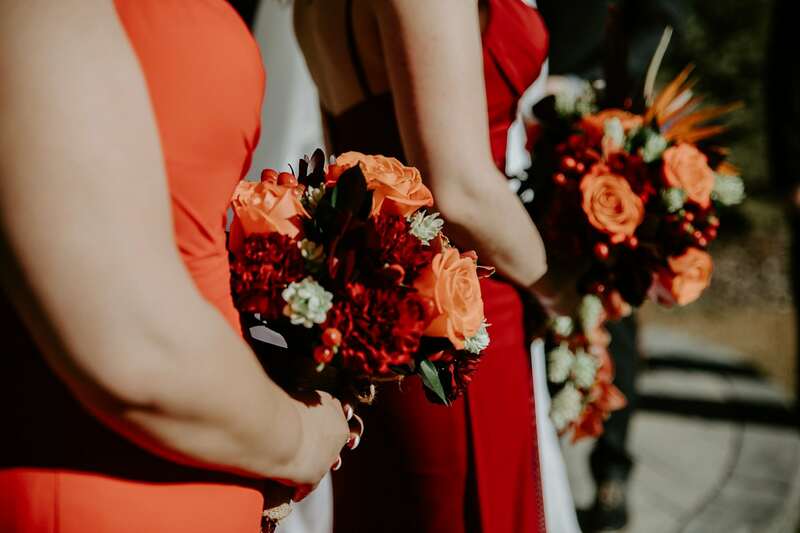 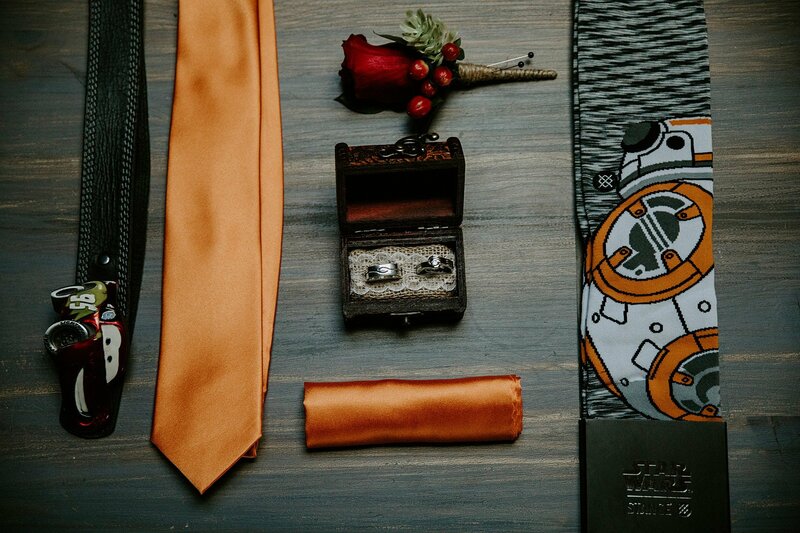 Orange is Liz’s favourite colour, red is Dylan’s and they happen to work with a fall wedding. 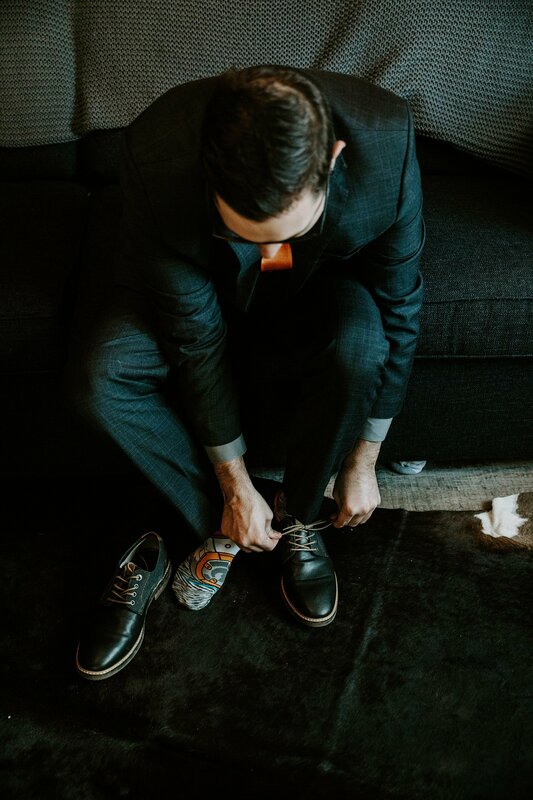 Grey helped to tie everything together. 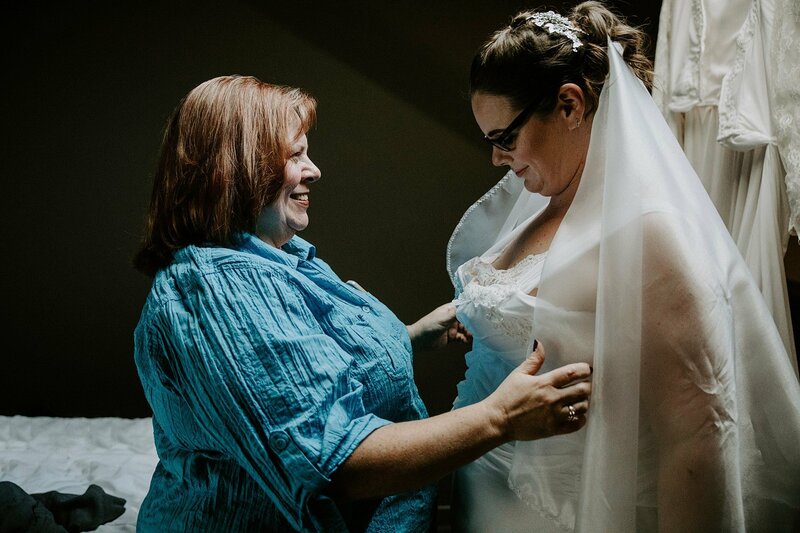 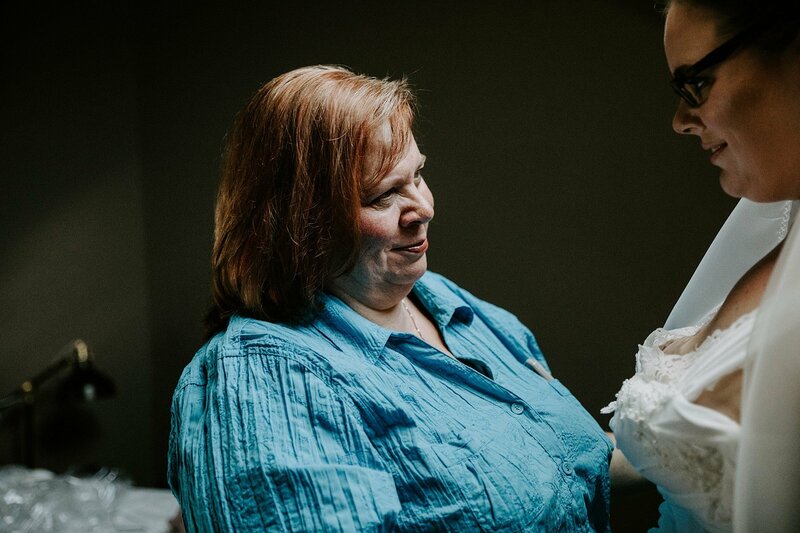 Seeing each other for the first time when Liz walked down the aisle. 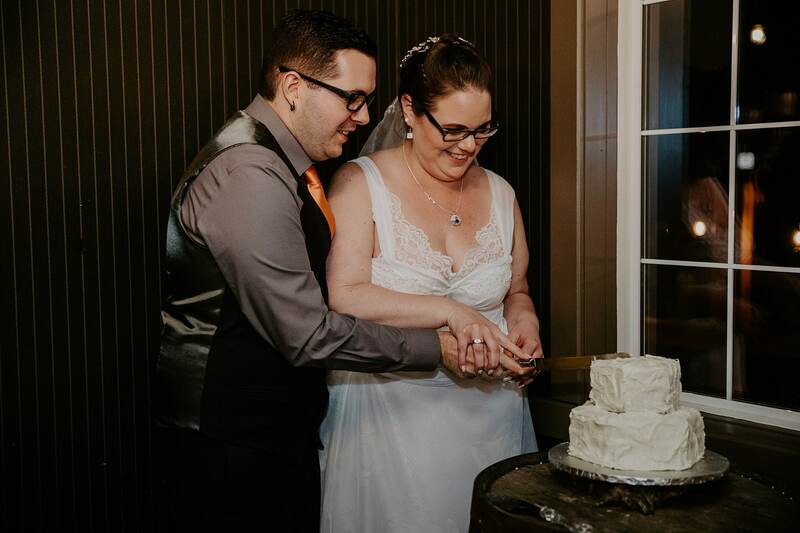 Our cake cutting because we were nice to each other for about 5 seconds and then we smelled cake all night. 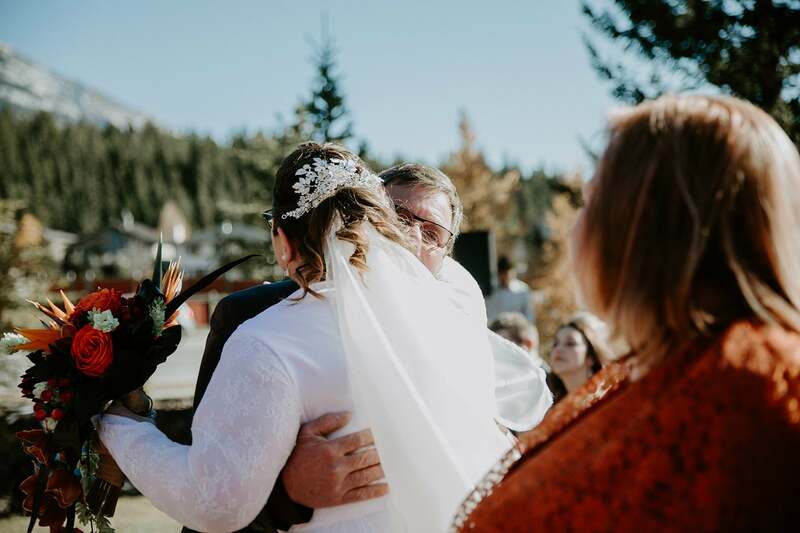 Later in the evening the maid of honour’s boyfriend was dancing with Liz’s dad and wrapped his suspenders around her dad and started going low. 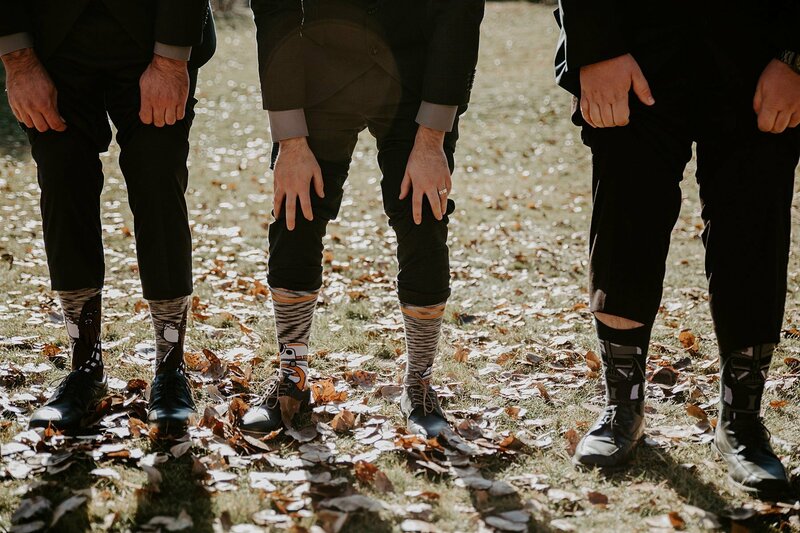 They then lost their balance and tipped over and got all tangled and could not get back up again. 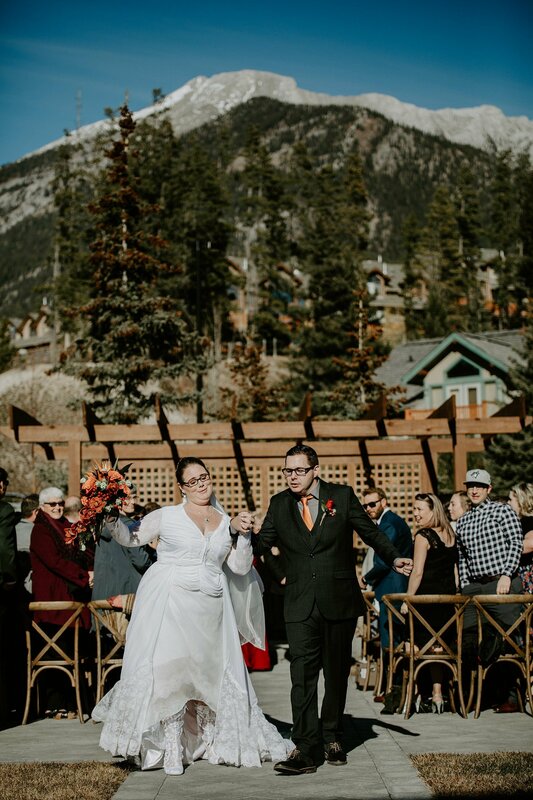 Our first dance was “Where your road leads” Trisha Yearwood ft Garth Brooks. 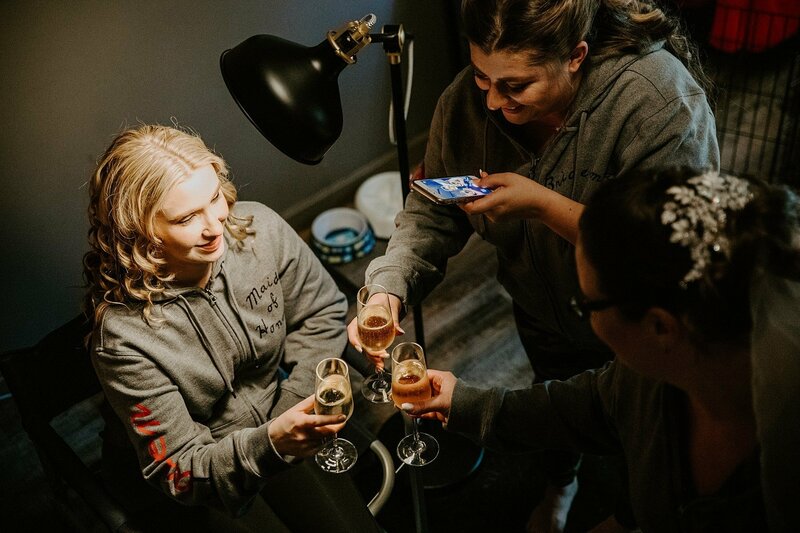 This song speaks a lot to our lives and we knew we wanted to use a song with Garth Brooks because we have been to two of his concerts. 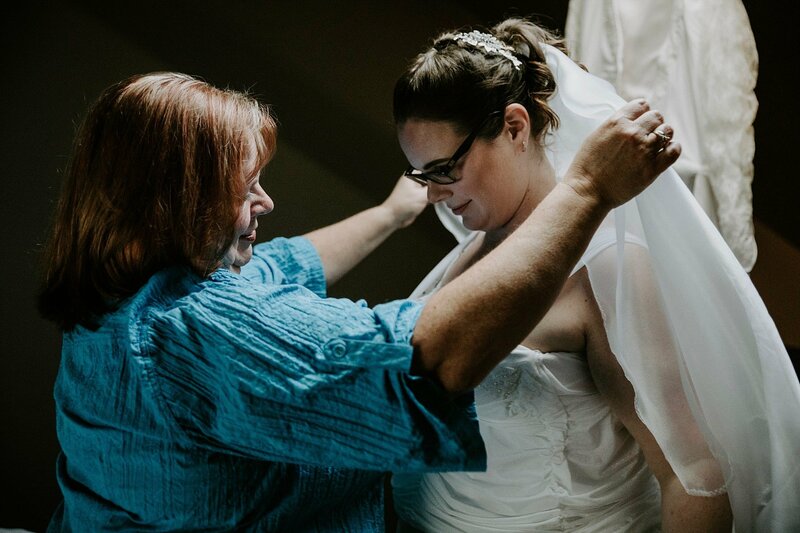 Bride’s dress because it had so much person style and was very unique thanks to the hard work and talent of her mom. 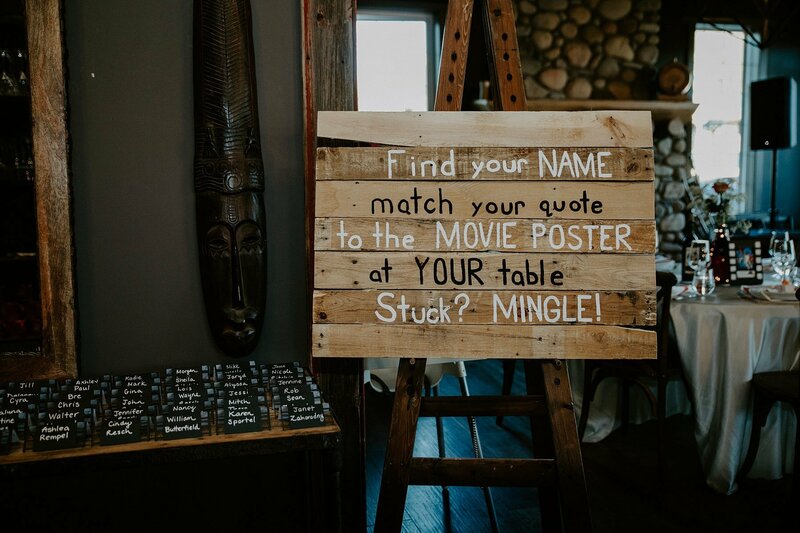 Our table “numbers” and socializing game, where we used movie posters and quotes to let people know where they were to be sitting. 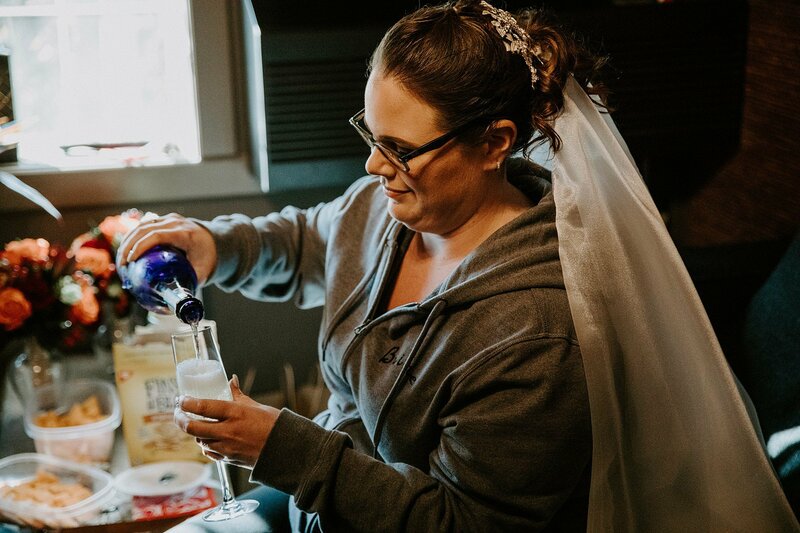 It gave everyone something fun to do during our cocktail hour and it was fun to hear from everyone how much they enjoyed it. 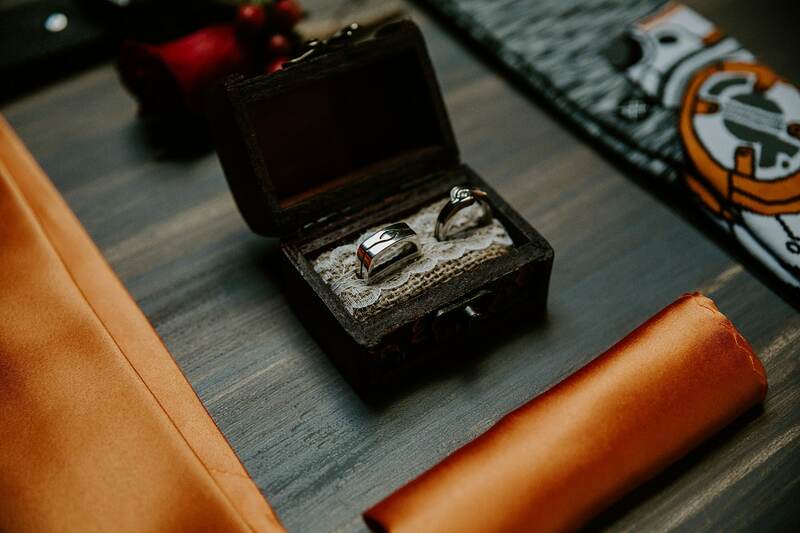 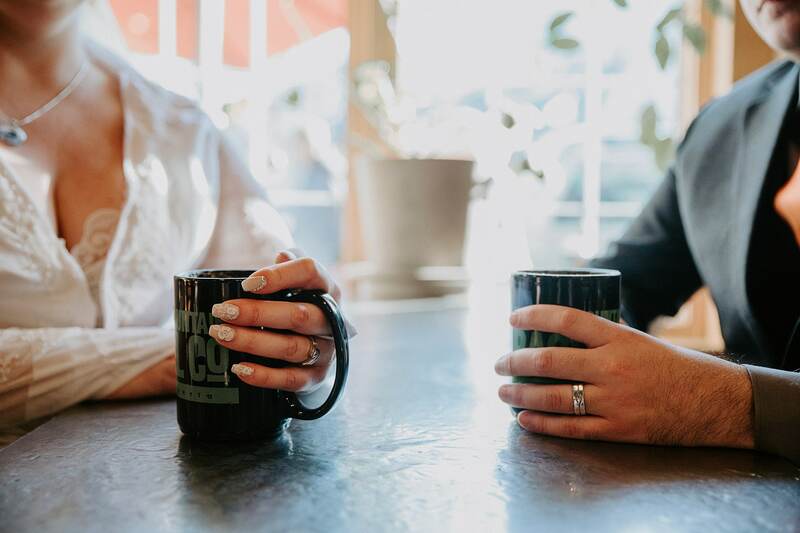 Our rings, they are custom made by Aaron E King and they match each other’s, we love that no one else will have rings identical to ours. 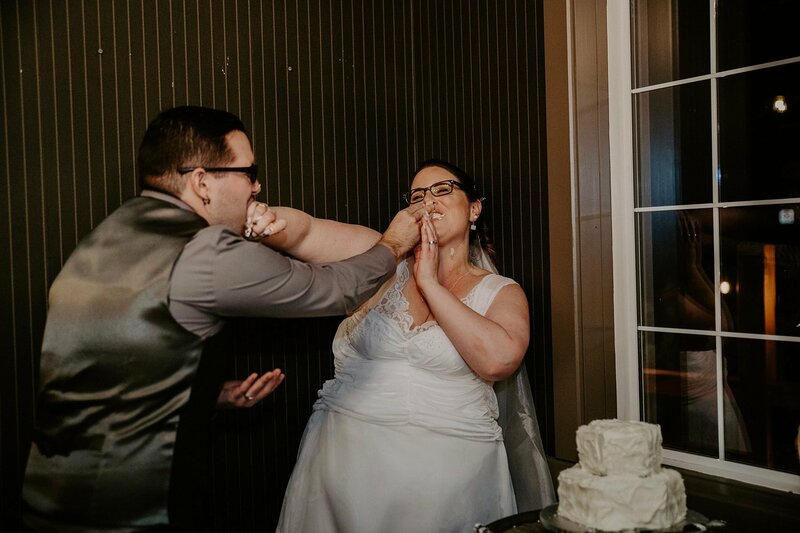 Do it your way! 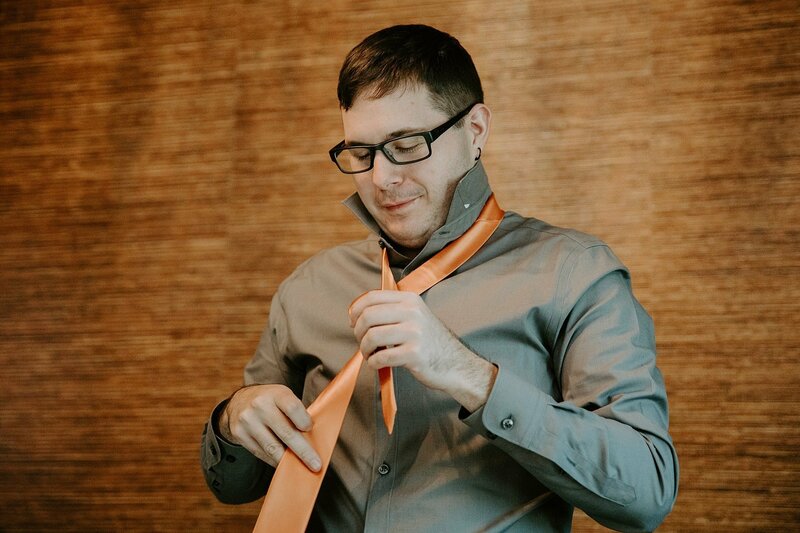 There will be a lot of pressure from all areas to do things different ways. 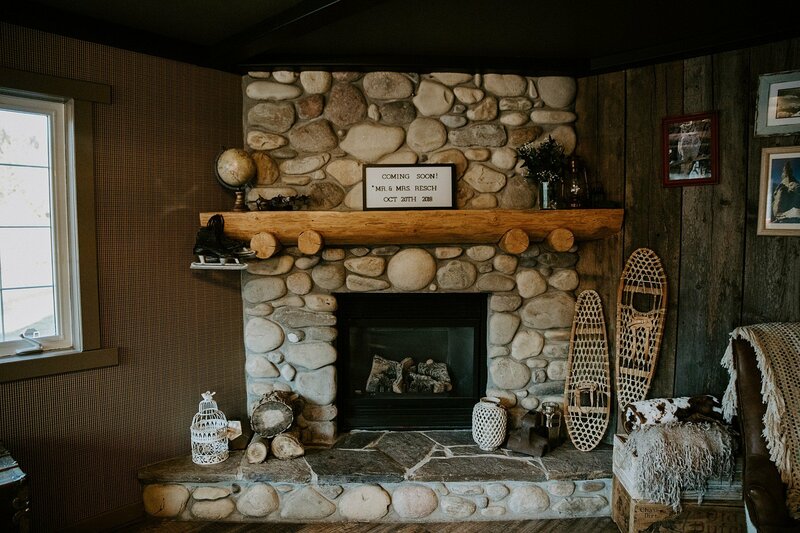 Always take the advise but make sure you keep it your own. 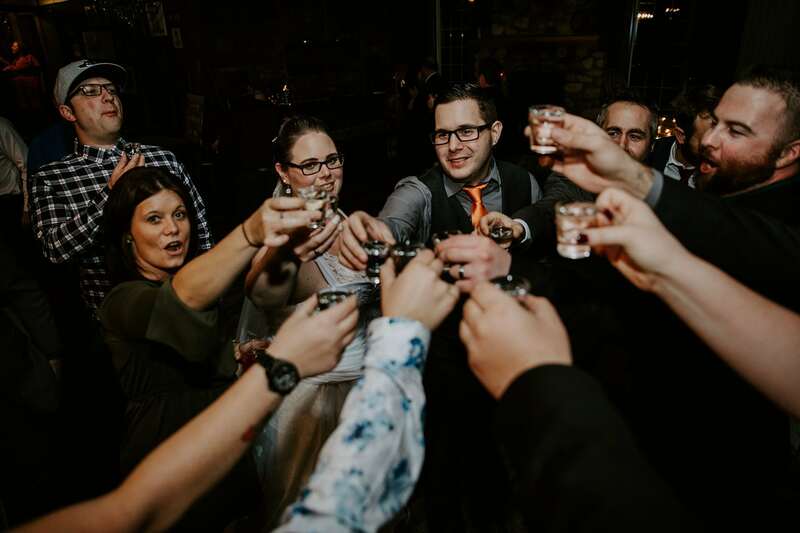  The day is about you guys, and it will be the day you remember the rest of your life. 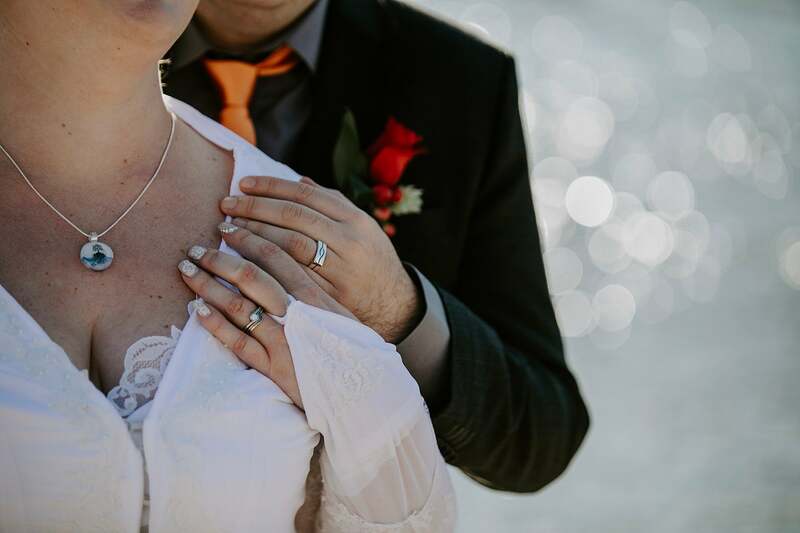 This is the starting point for your marriage and you want to be true to your relationship. 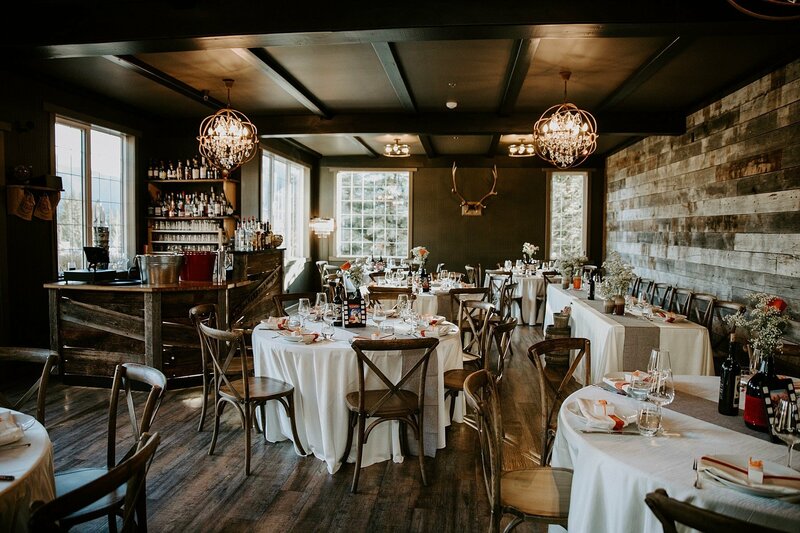 We spent 2 days exploring Houston, Texas and hunting for the best craft beer there. 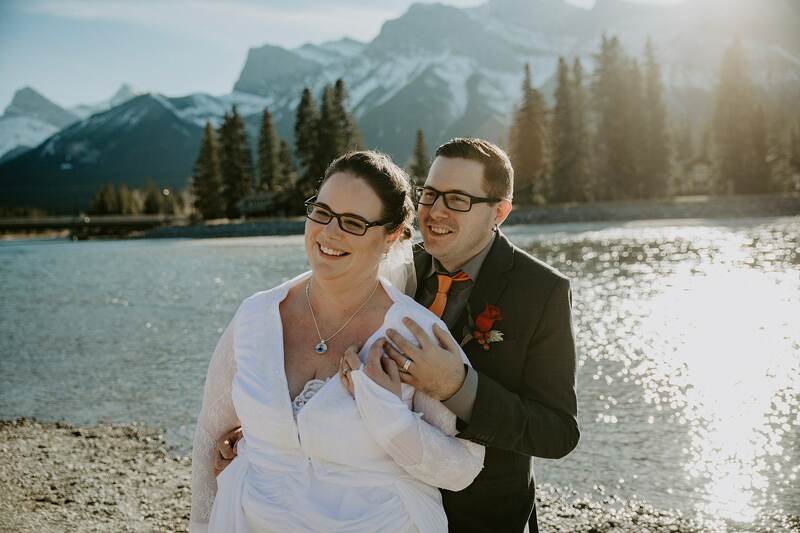 We then hopped on a 7 day cruise going to Cozumel Mexico, Georgetown Grand Cayman and Falmouth Jamaica. 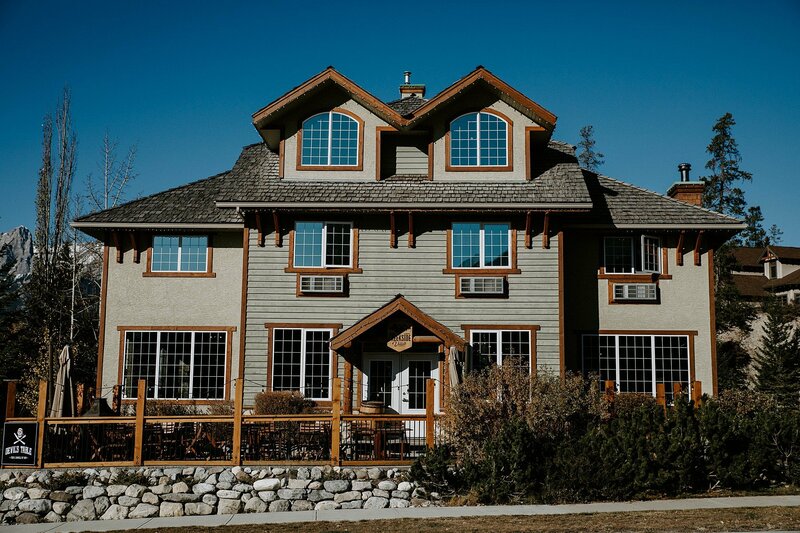 It was a very relaxing and enjoyable time.